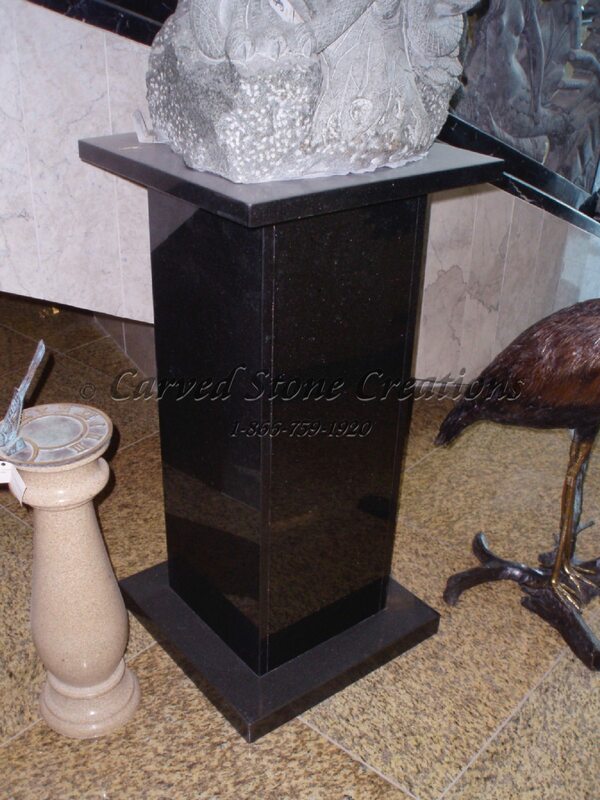 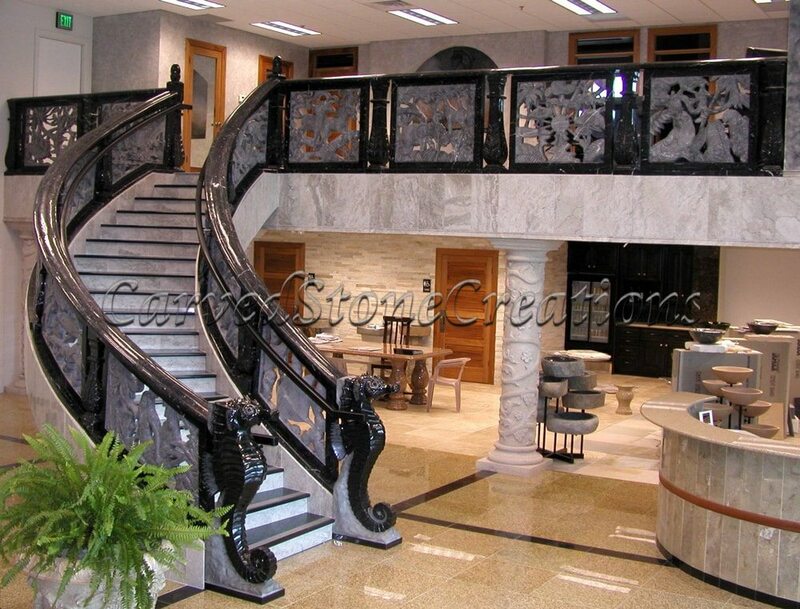 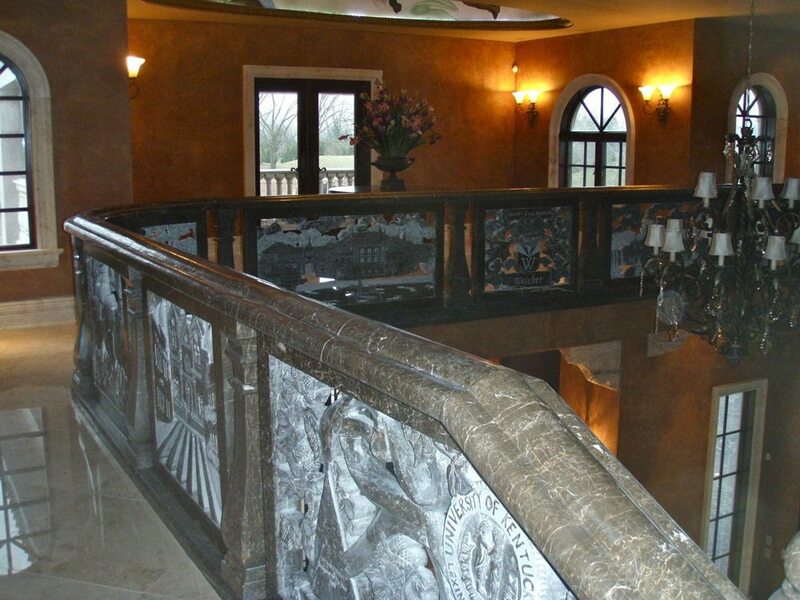 This double curved staircase features black limestone with custom curved relief carved panels. 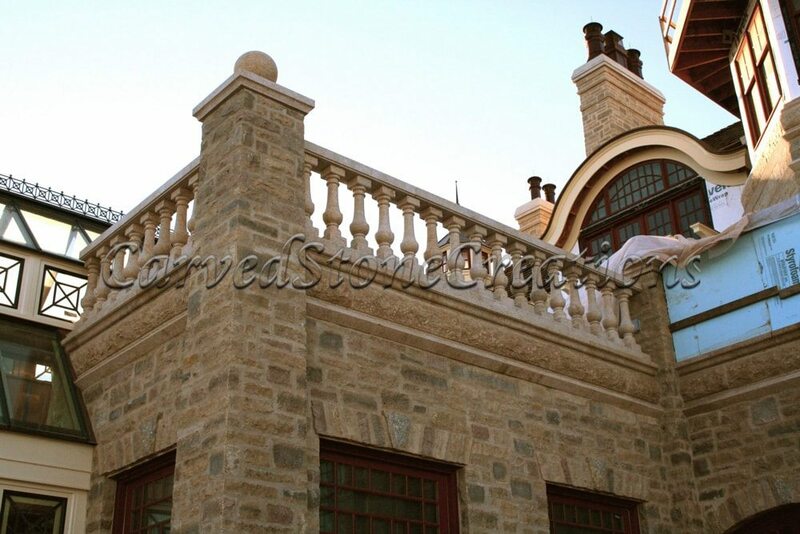 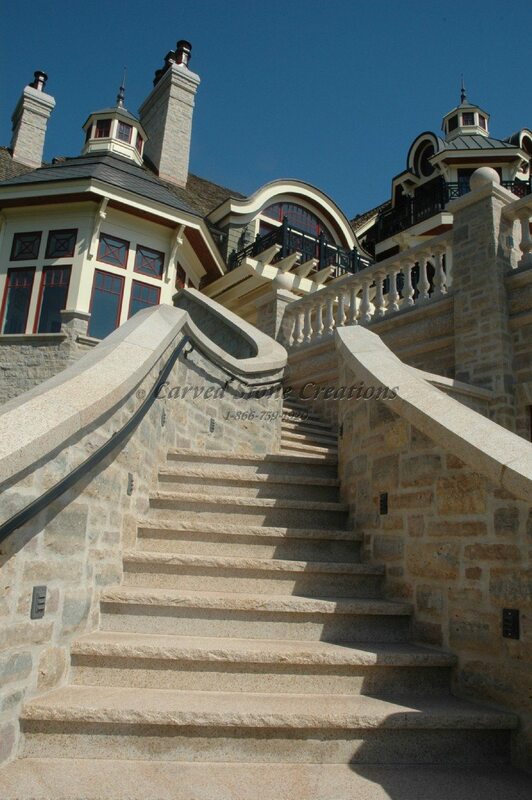 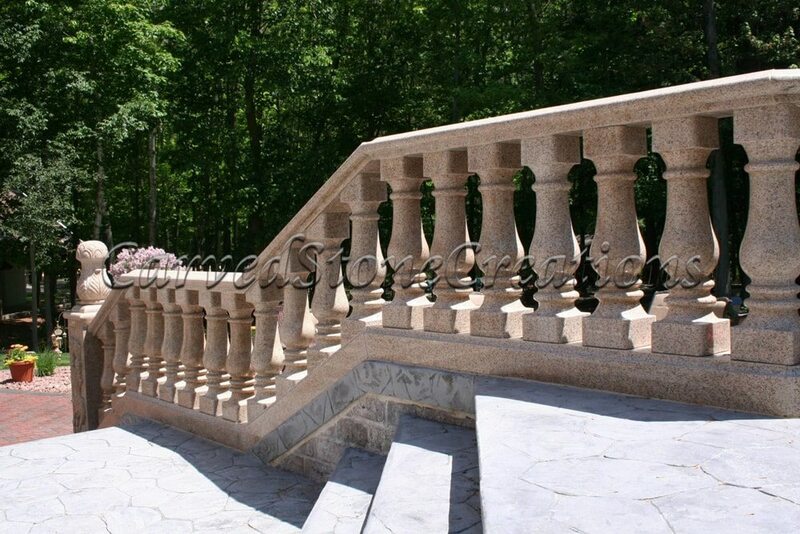 Helical twisted curved stone handrail detail. 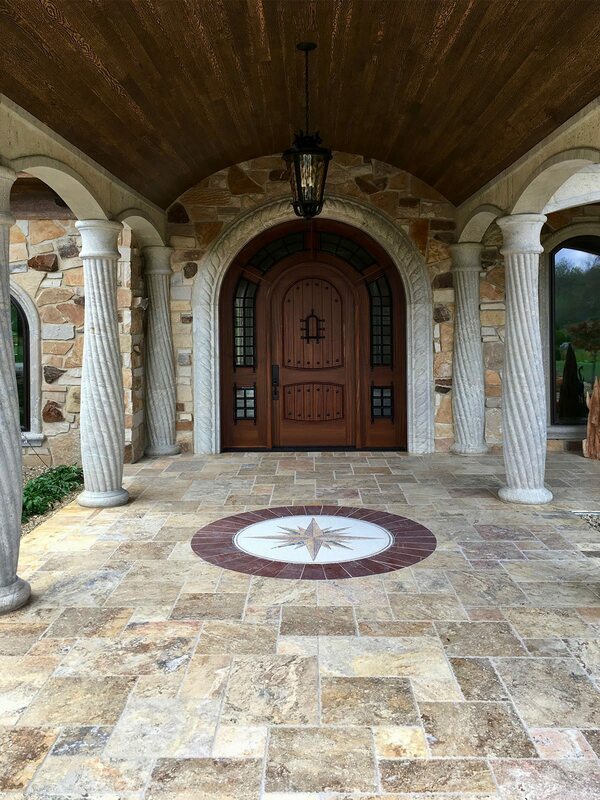 This carved stone arched entry surround features rope twist detailing and matching rope twist columns with compass floor medallion. 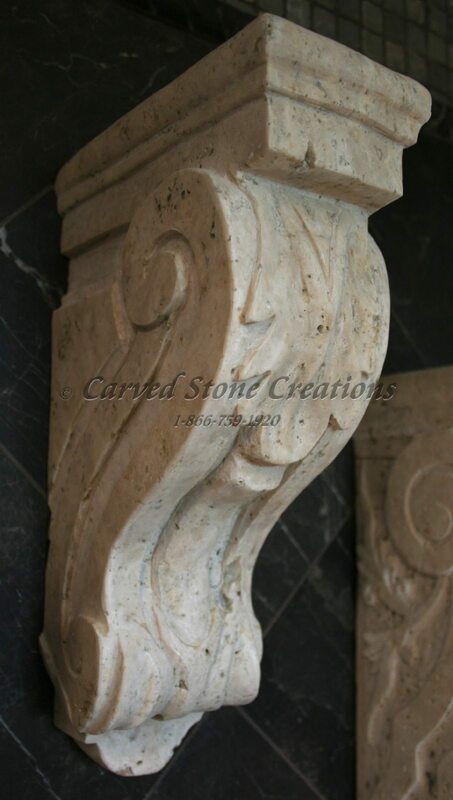 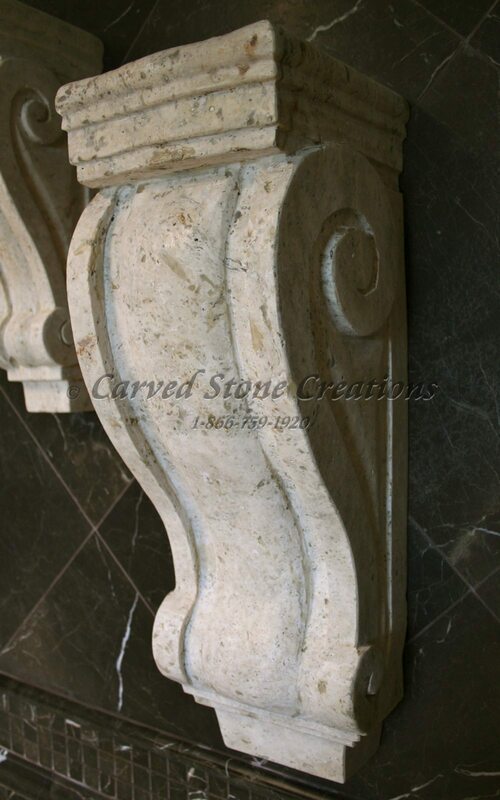 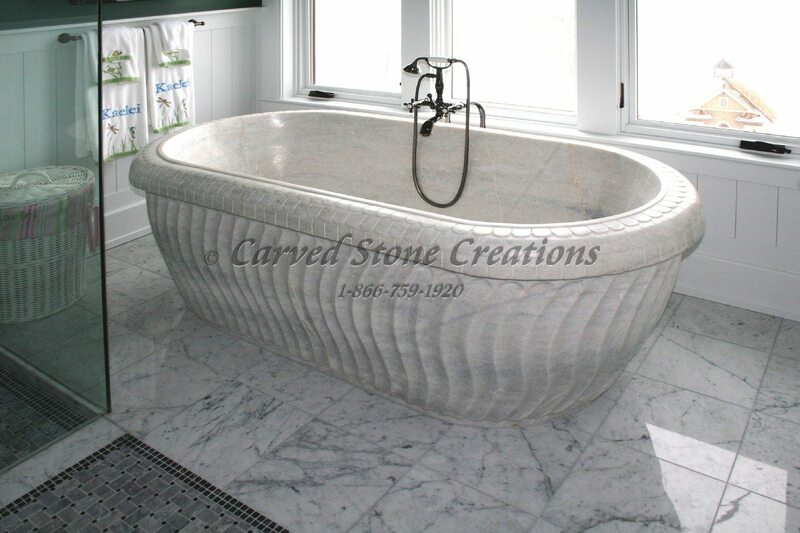 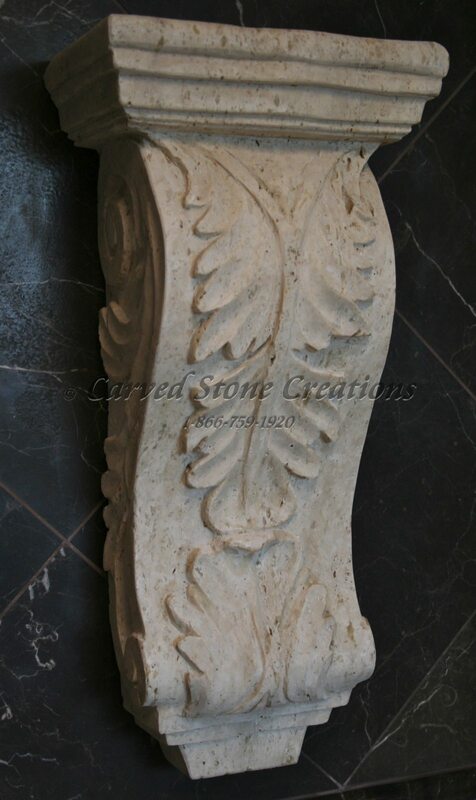 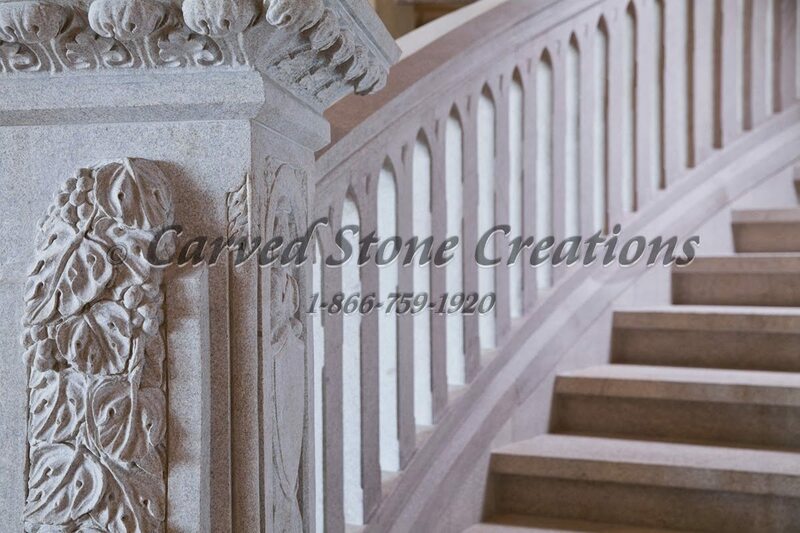 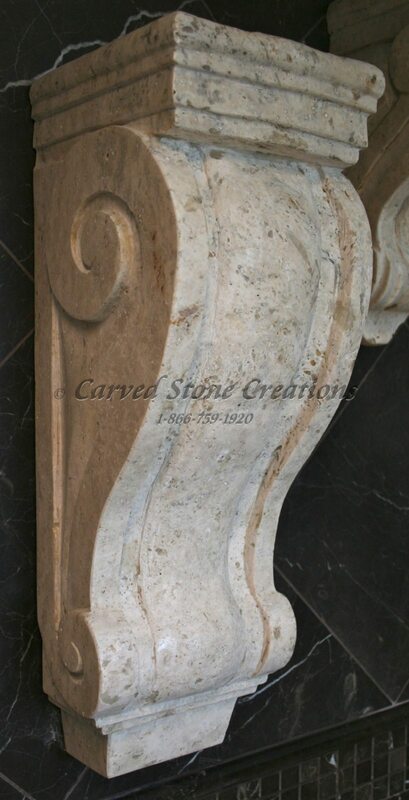 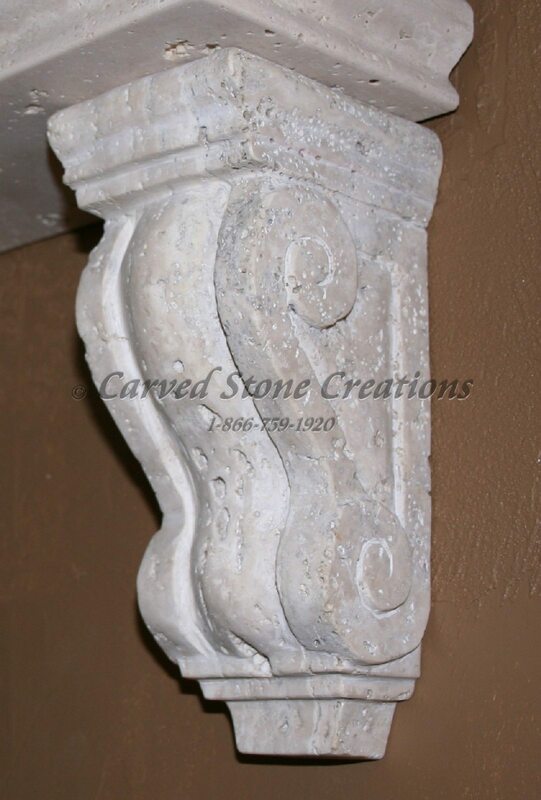 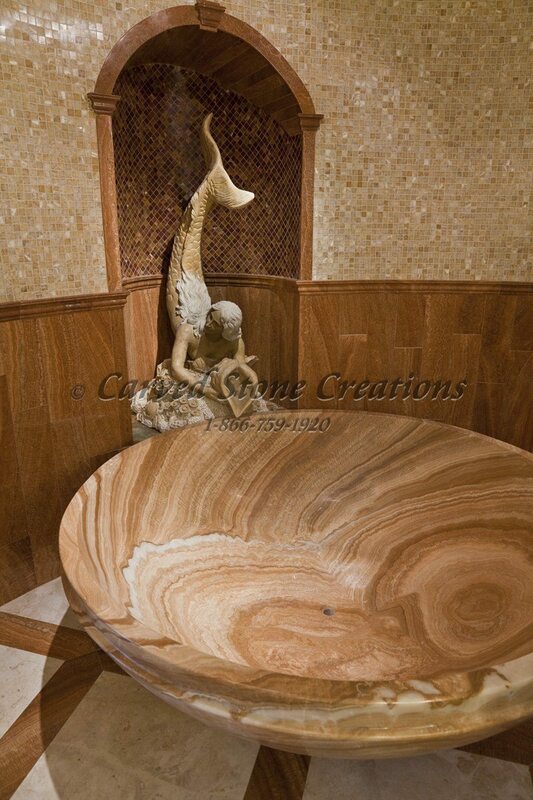 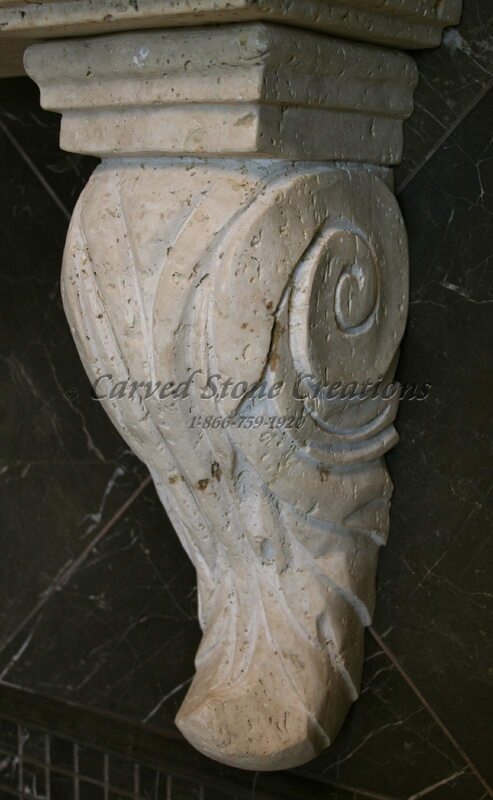 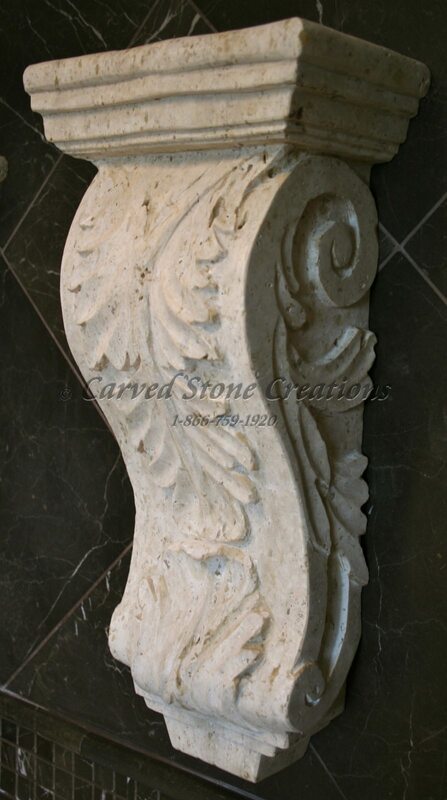 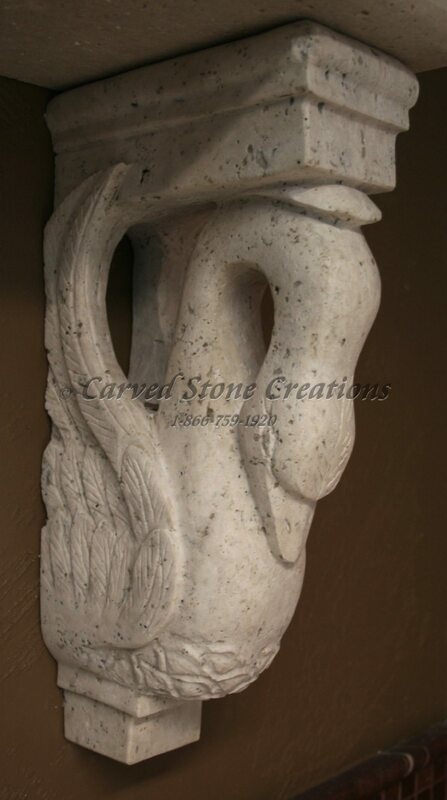 A curved section of a decoratively carved marble railing. 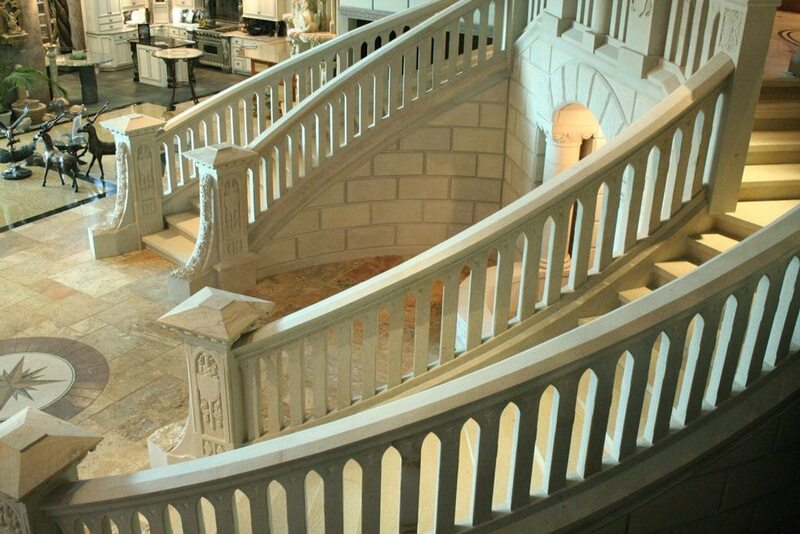 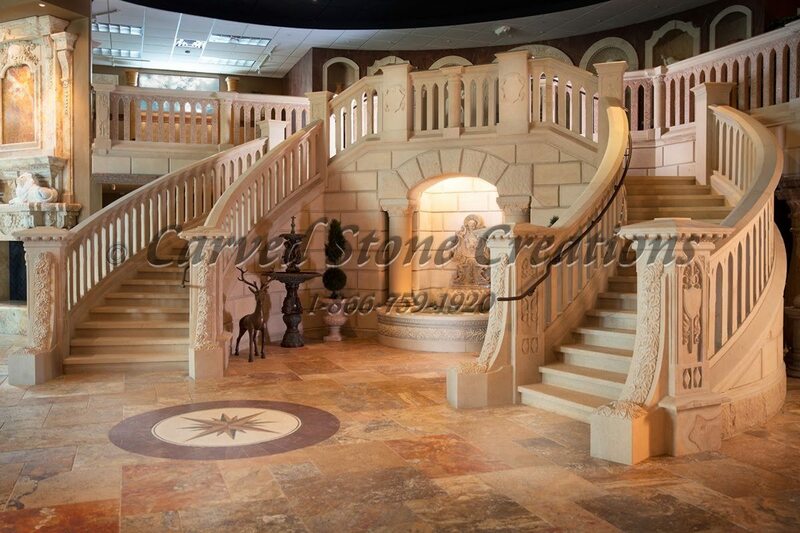 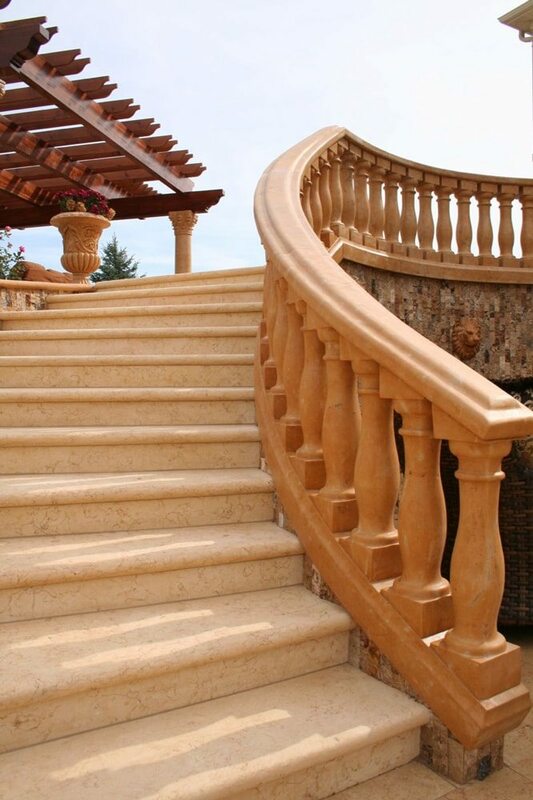 This Palace of Justice staircase replica is a showroom centerpiece with limestone-like granite curved railings, treads and newel posts. 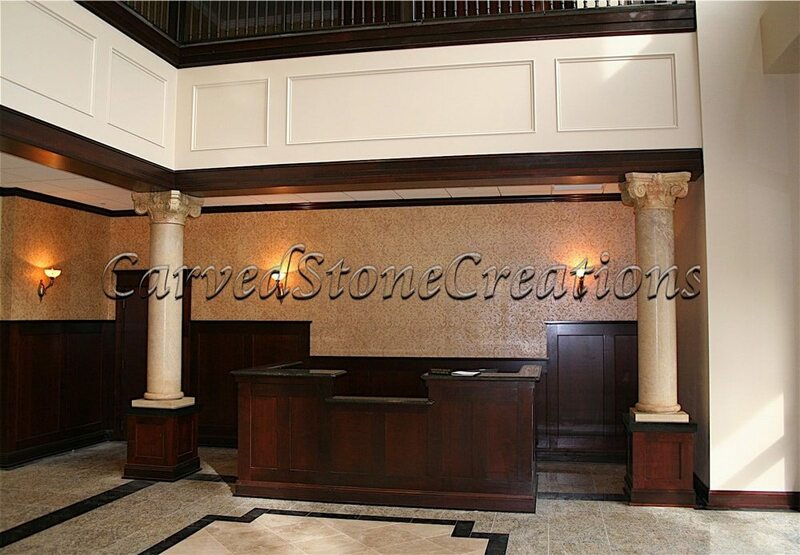 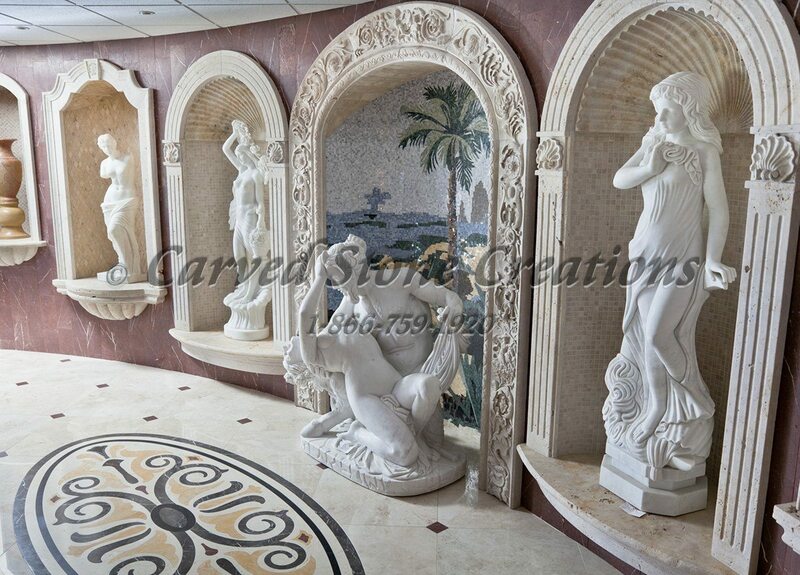 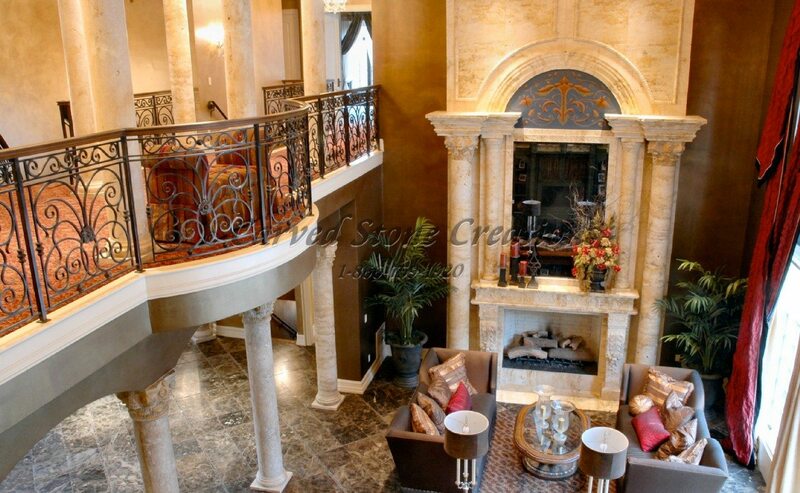 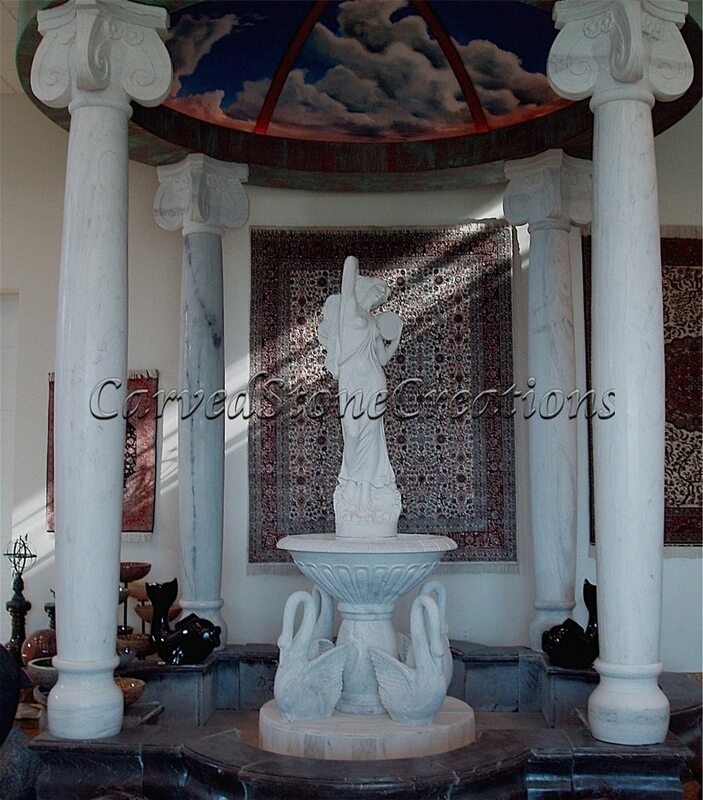 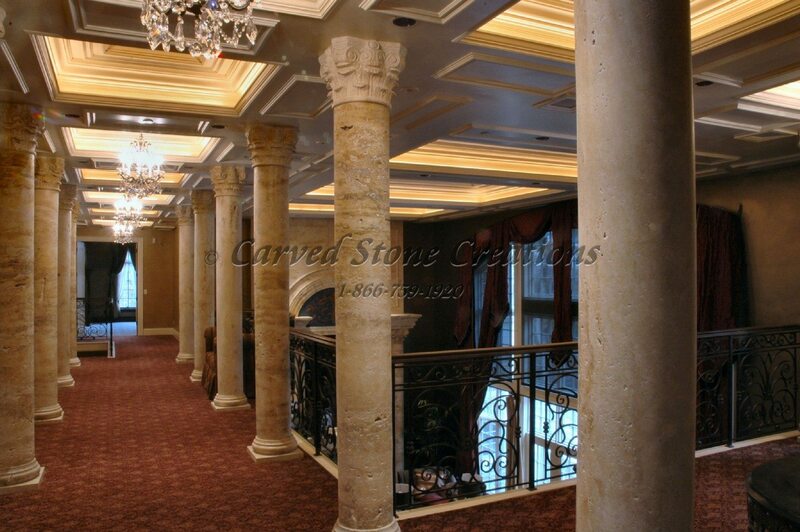 Custom carved marble scamozzi order architectural columns featured in this lobby. 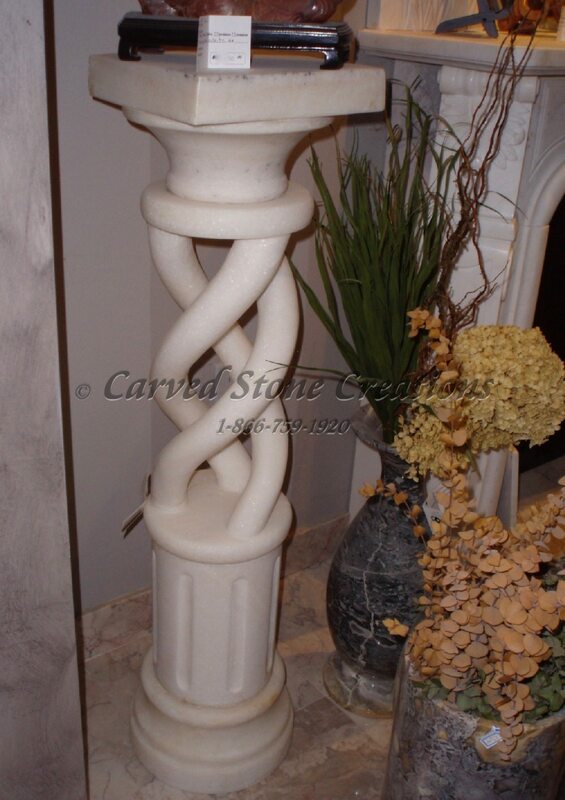 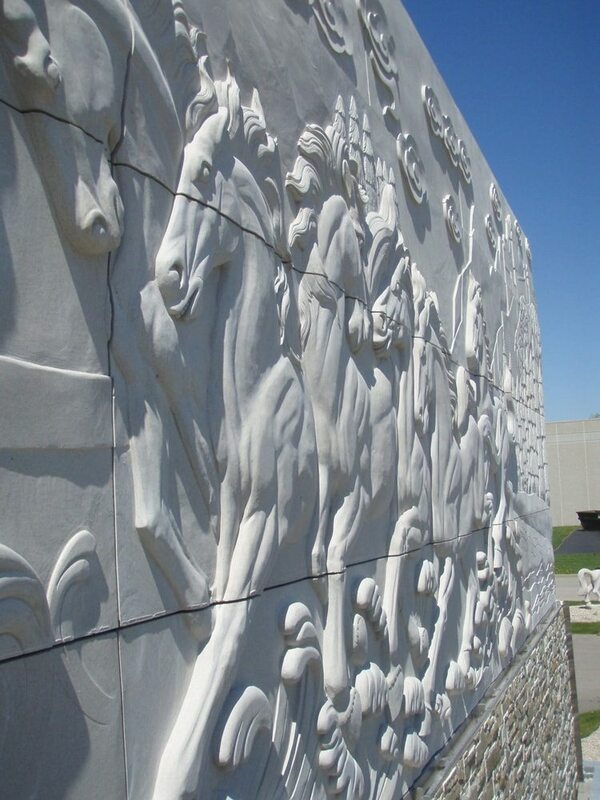 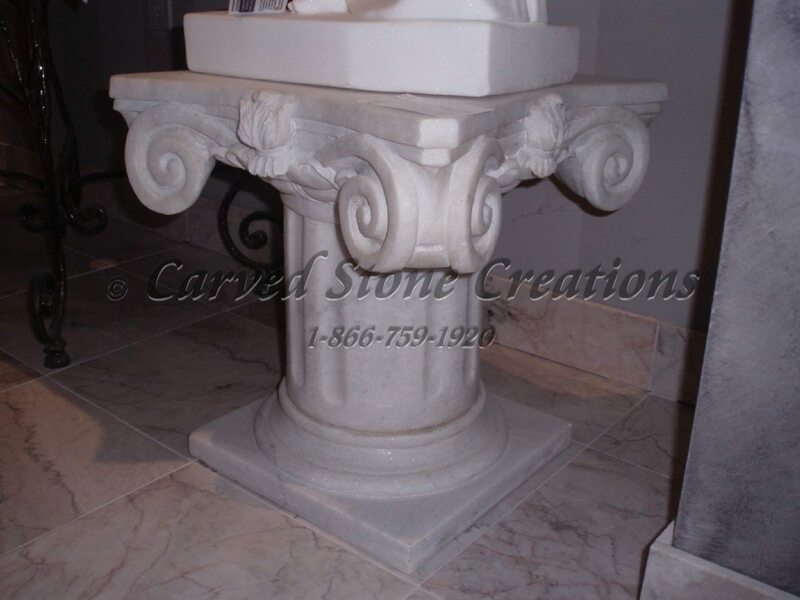 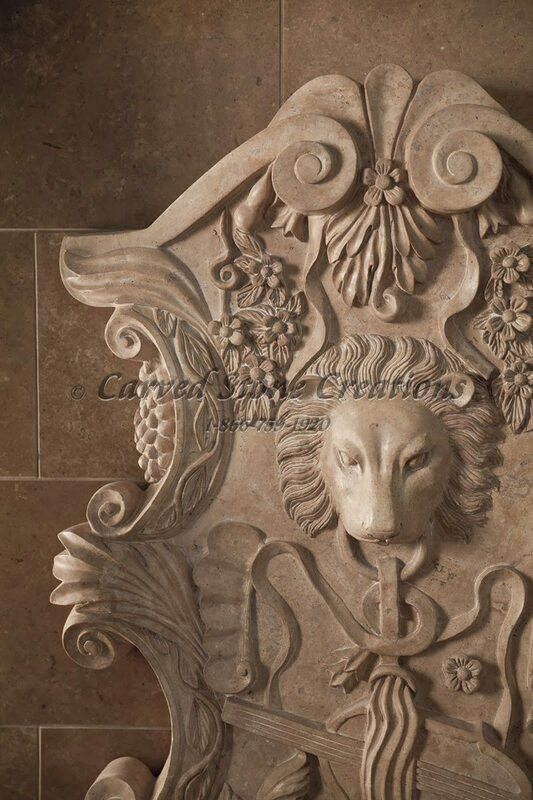 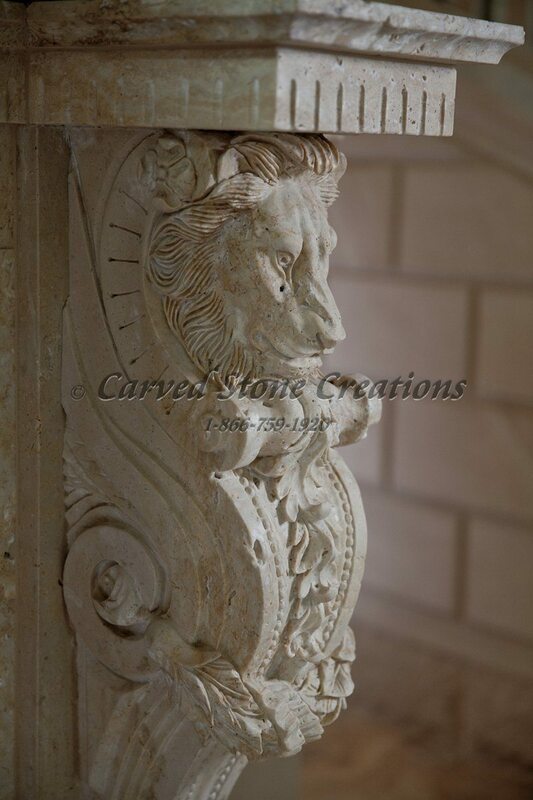 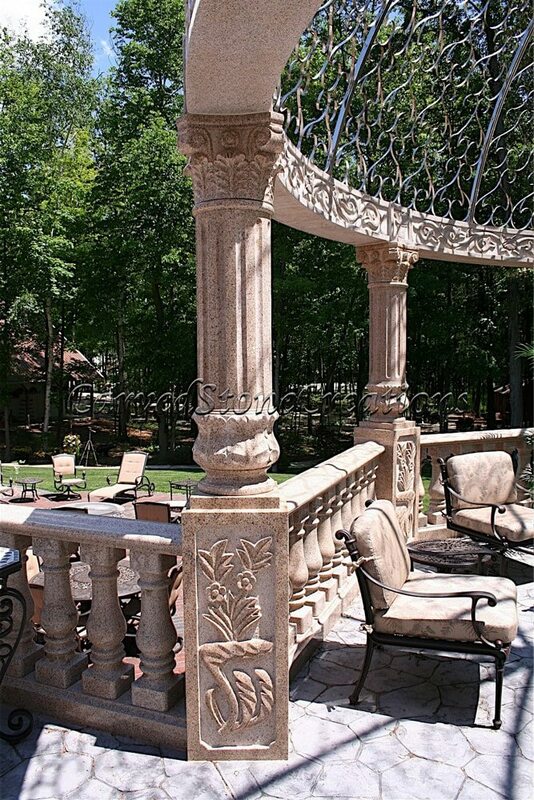 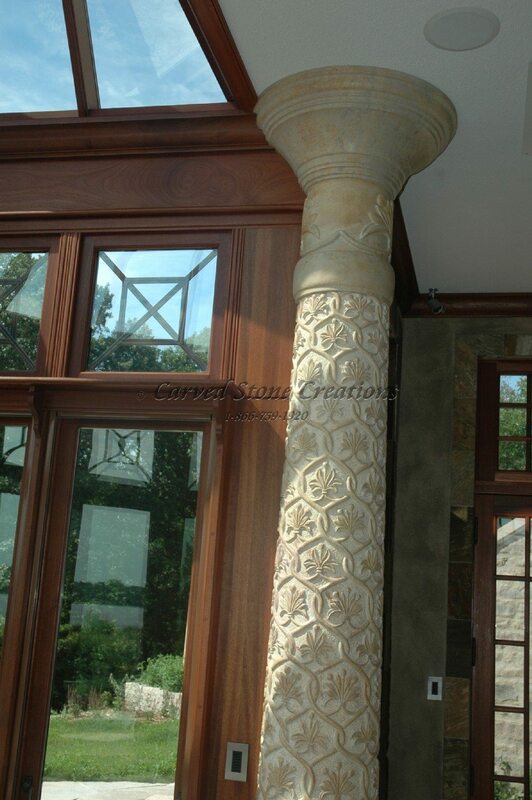 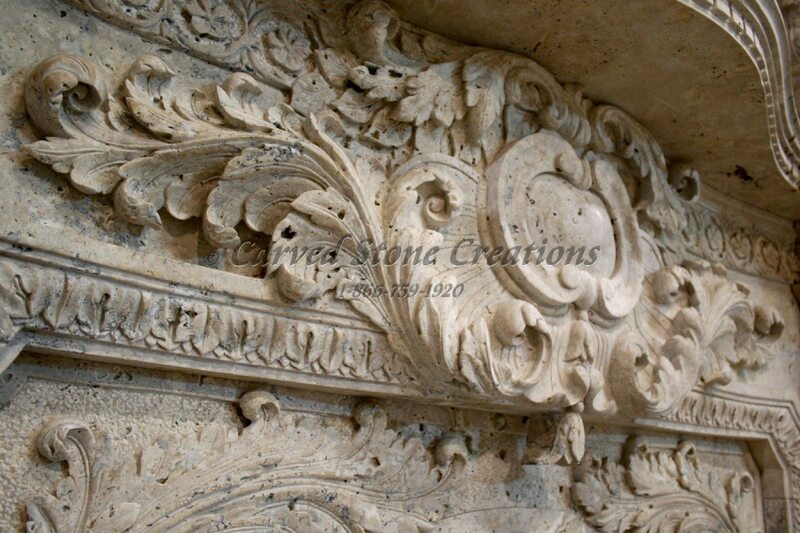 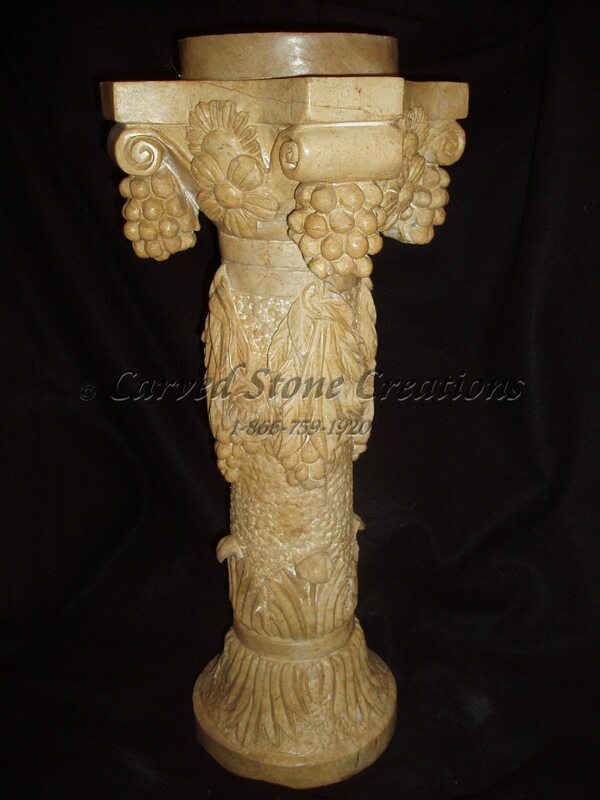 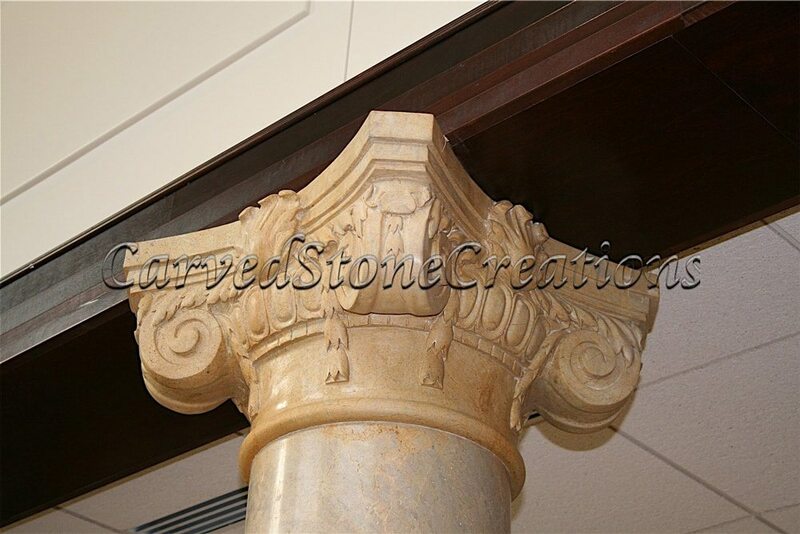 Detailed view of carved marble scamozzi order architectural columns. 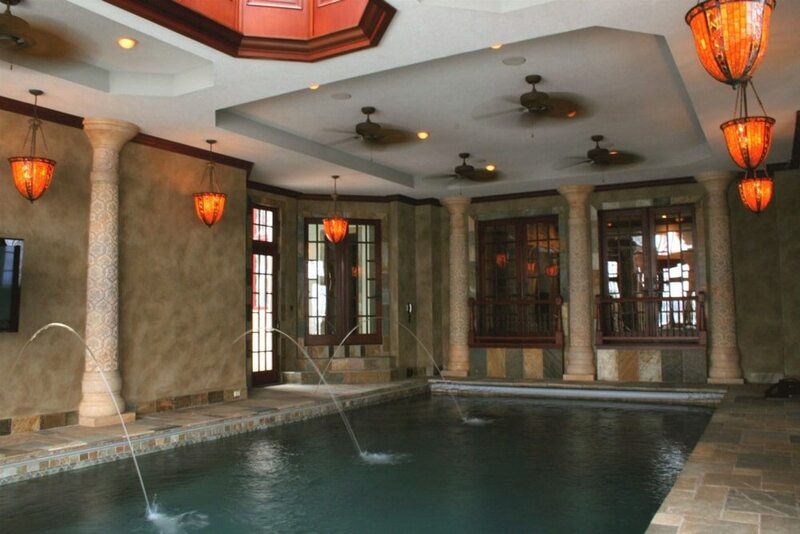 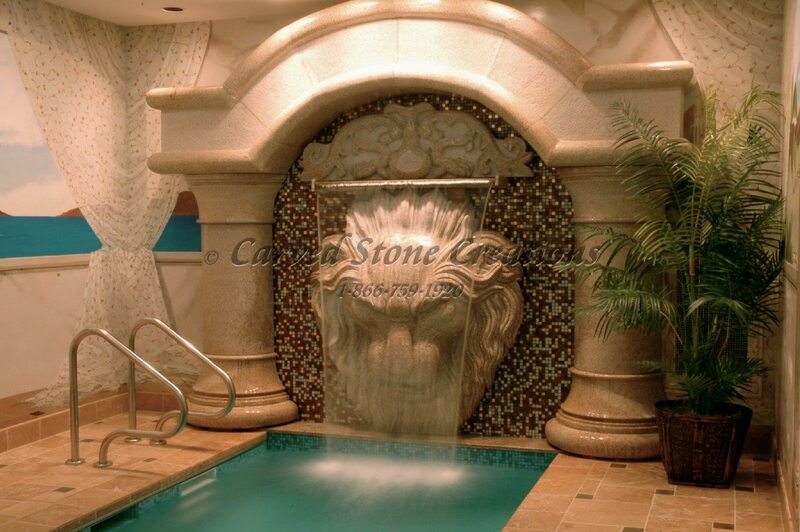 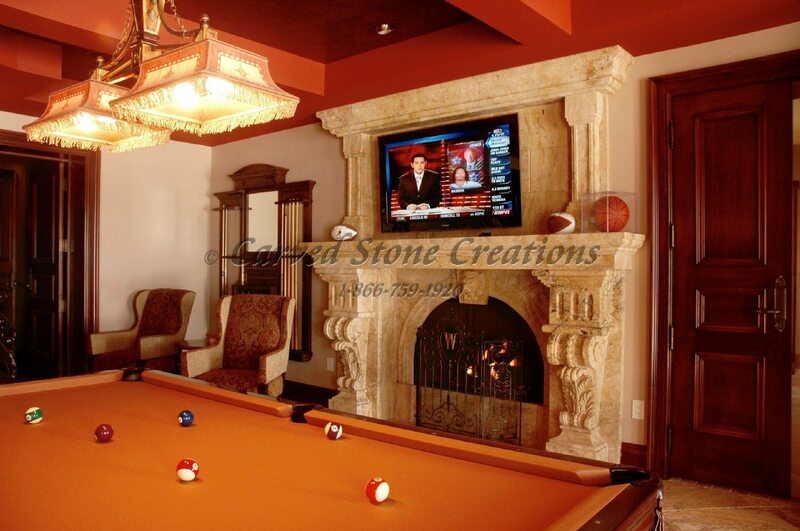 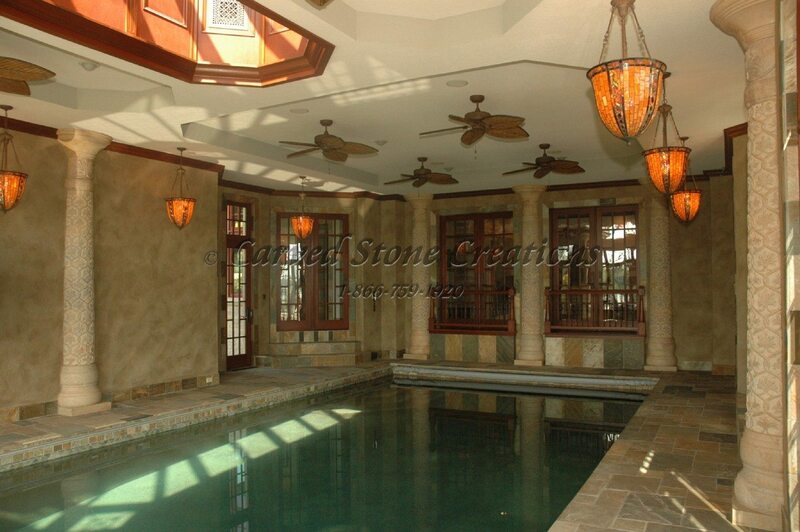 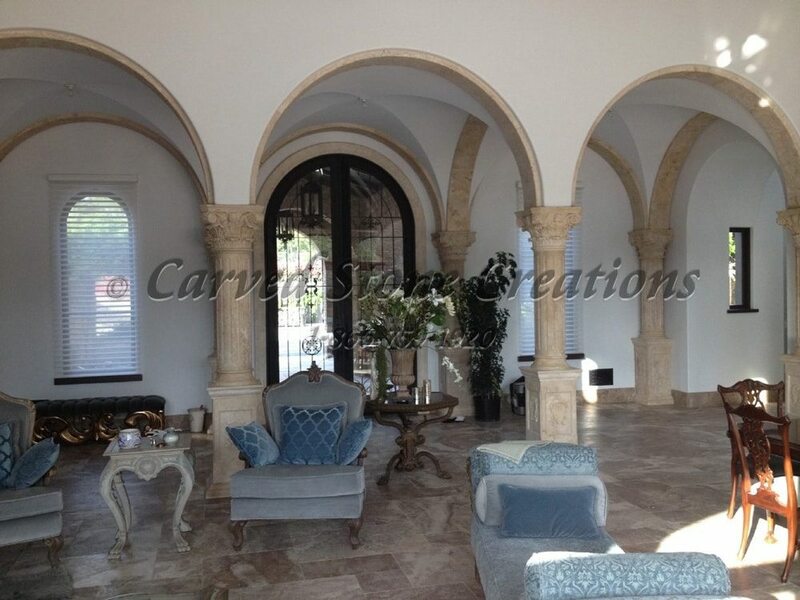 Architecturally unique custom marble columns flank the indoor pool of this magnificent home. 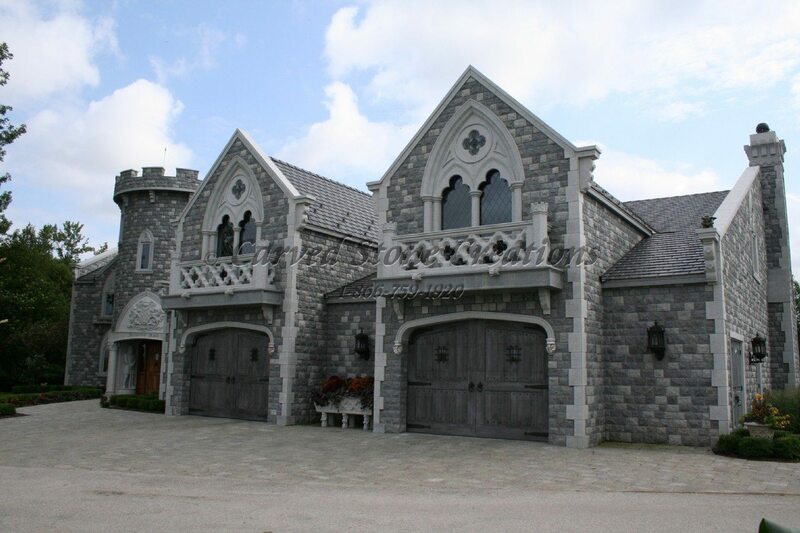 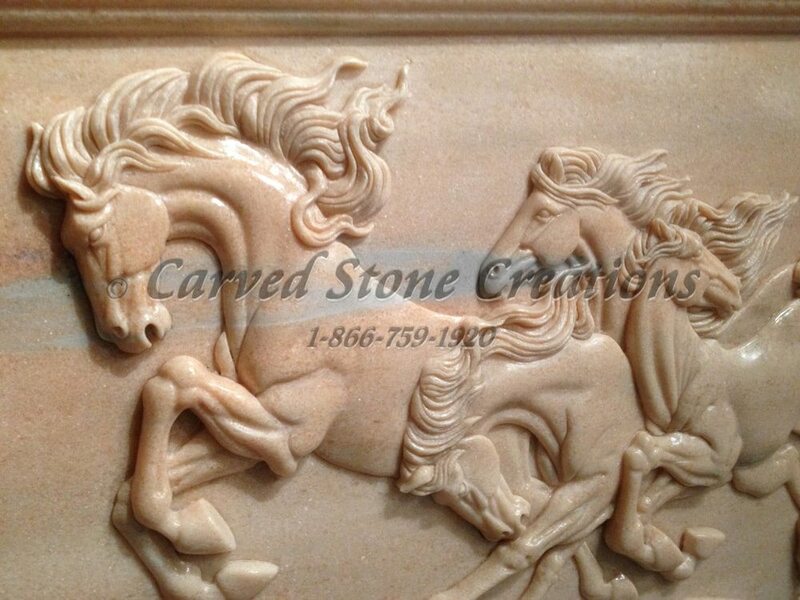 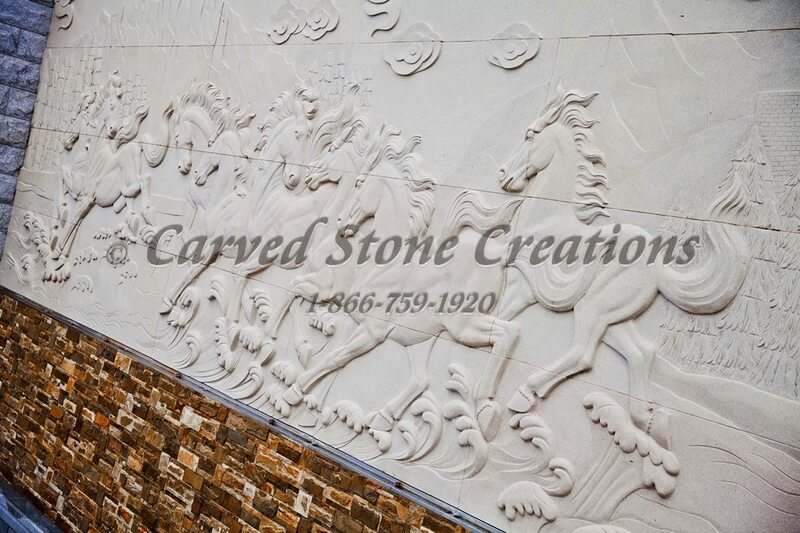 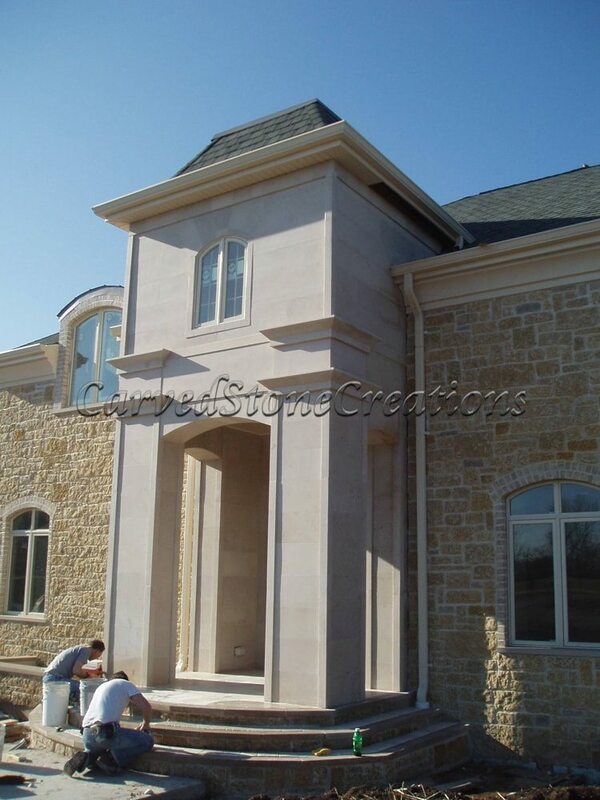 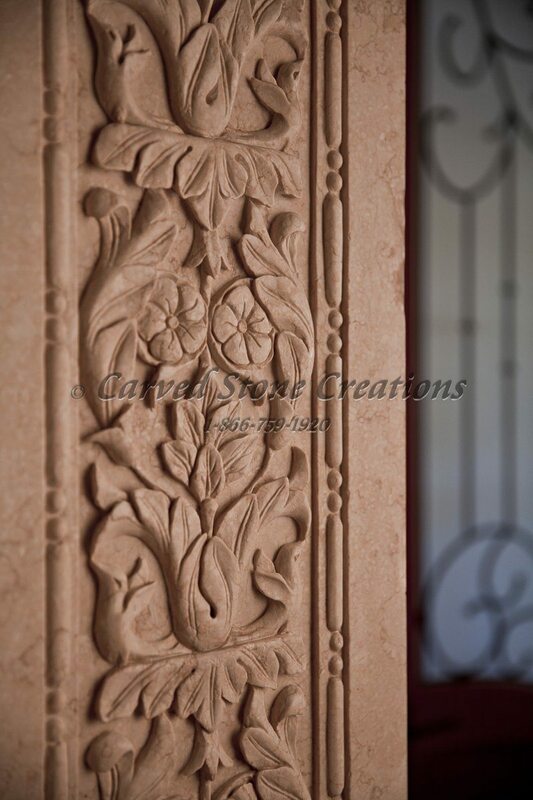 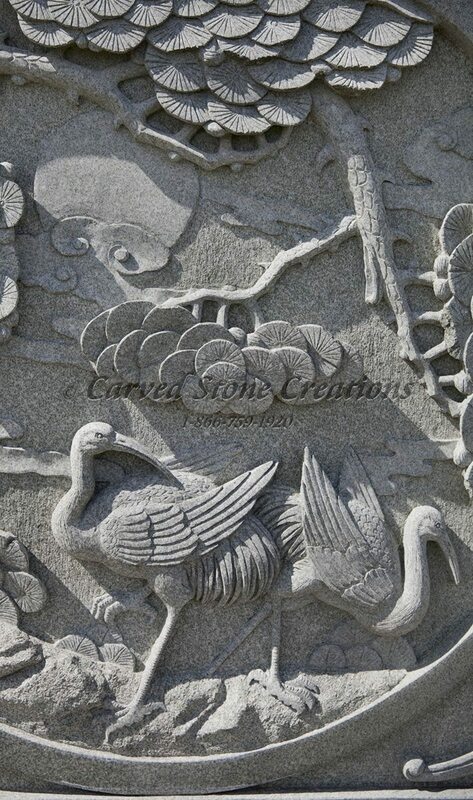 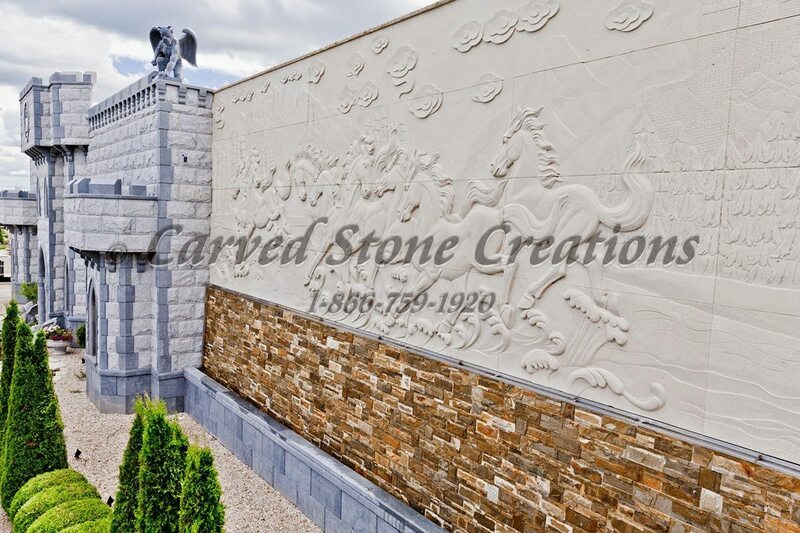 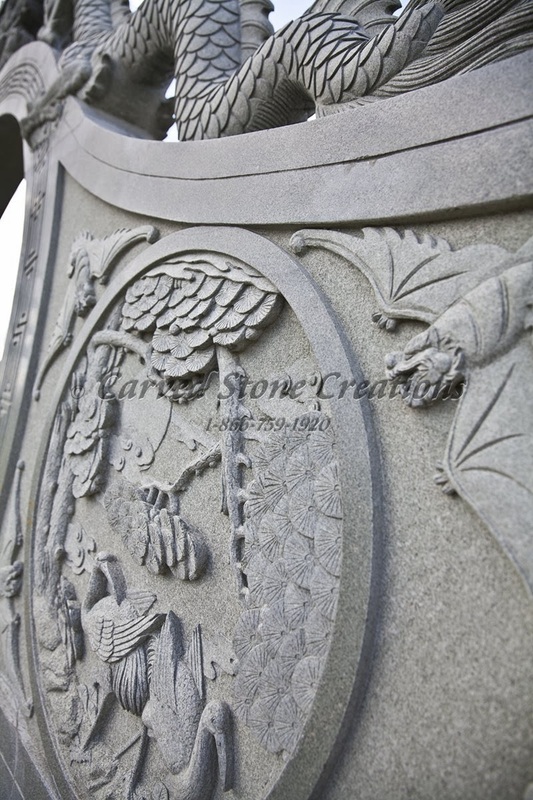 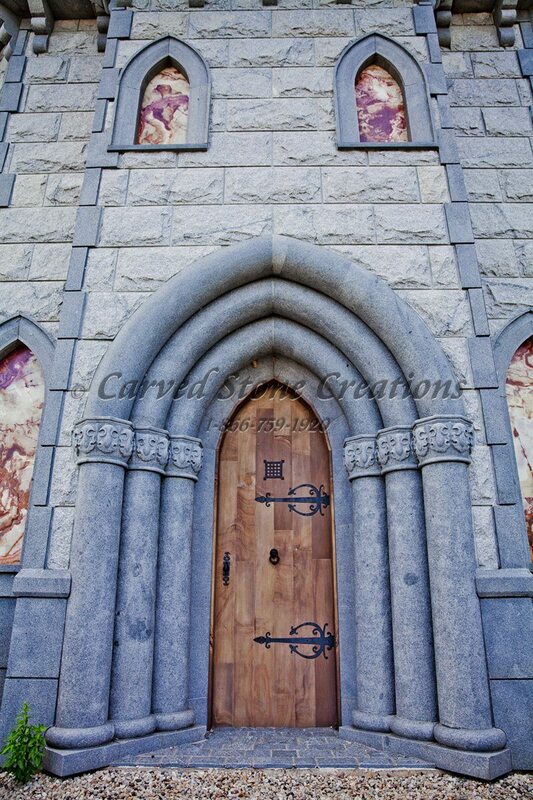 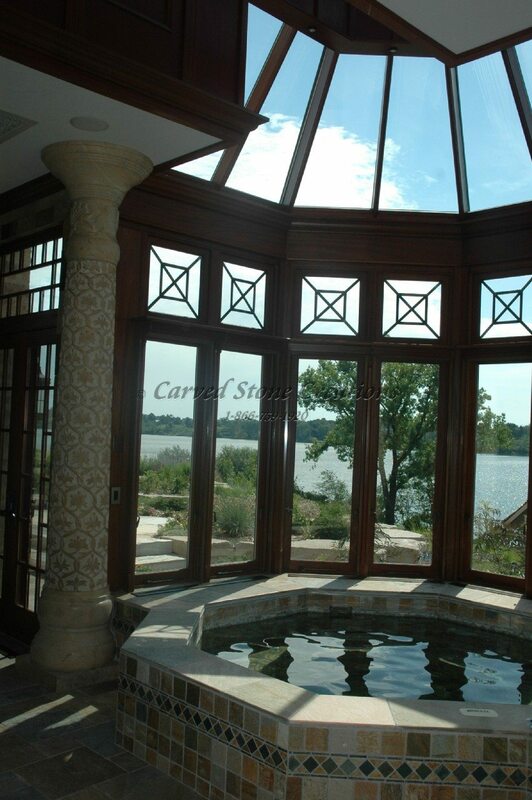 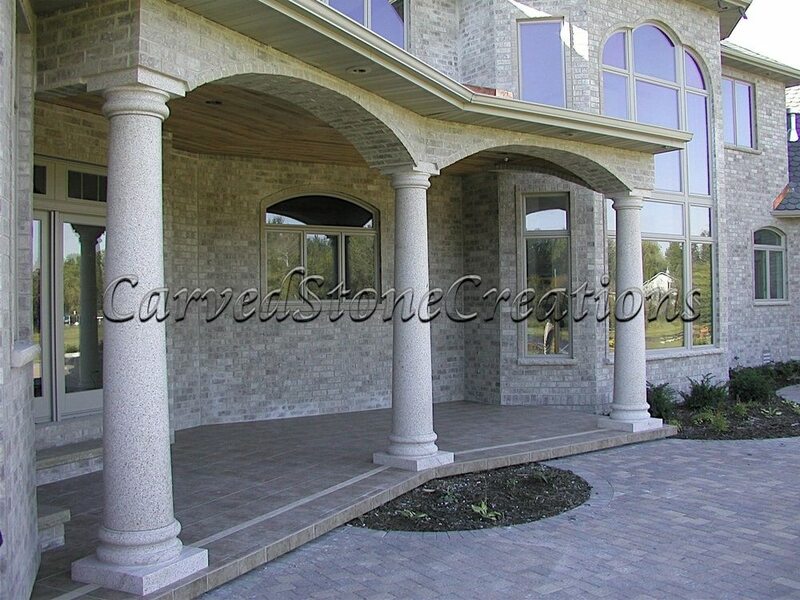 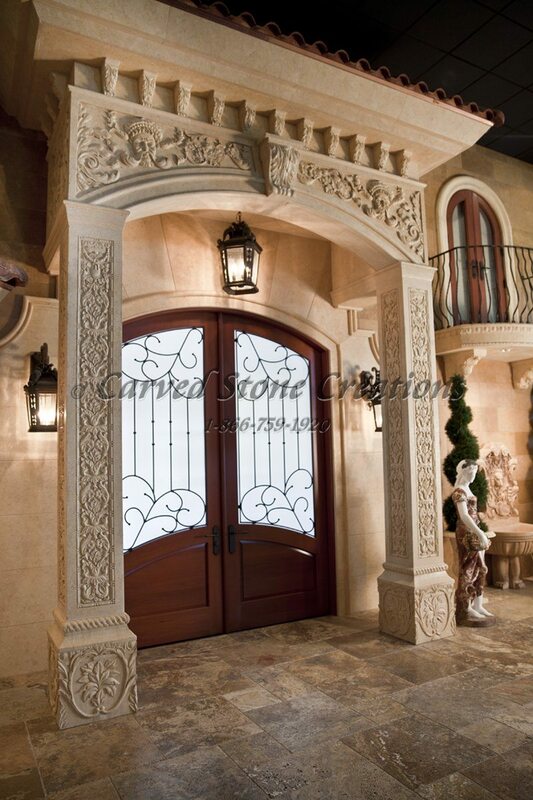 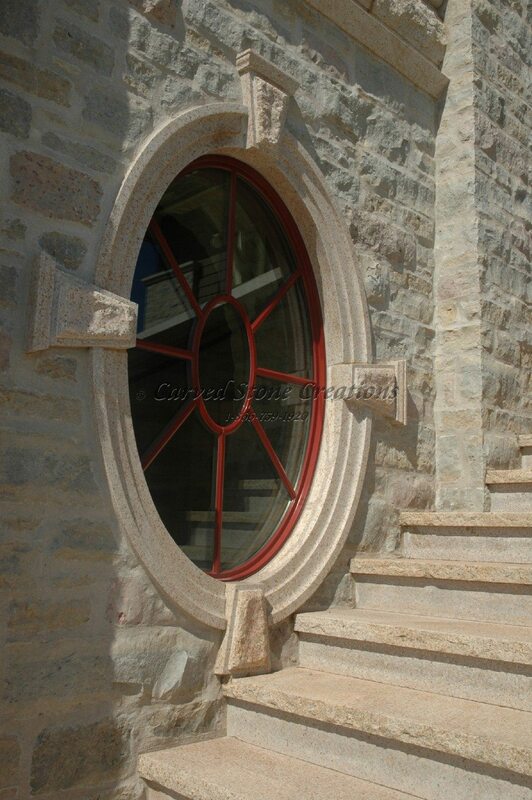 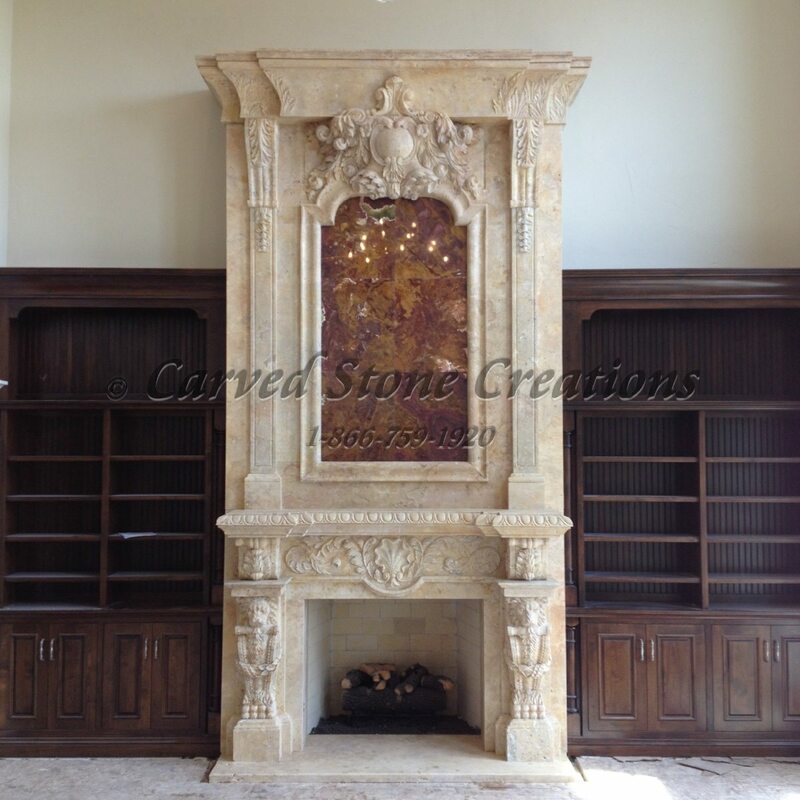 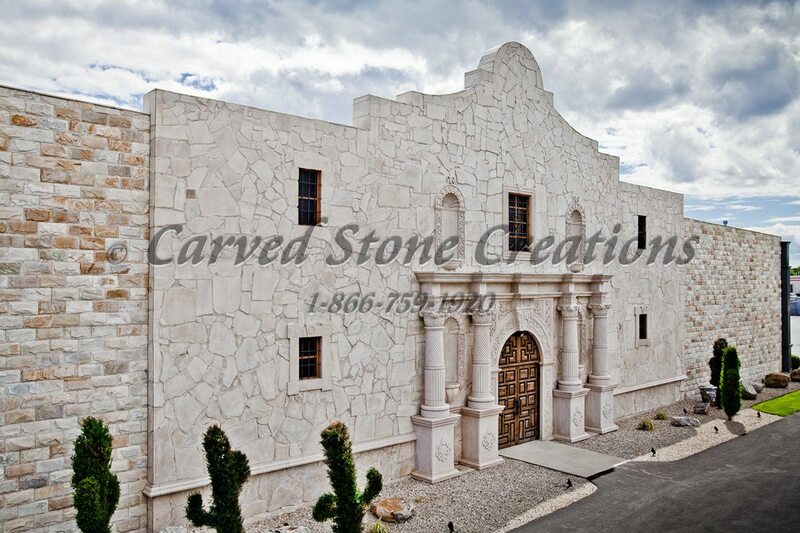 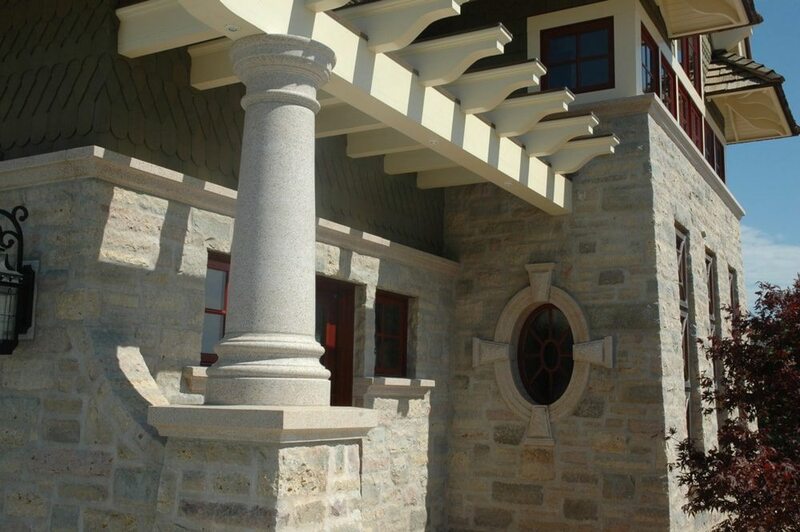 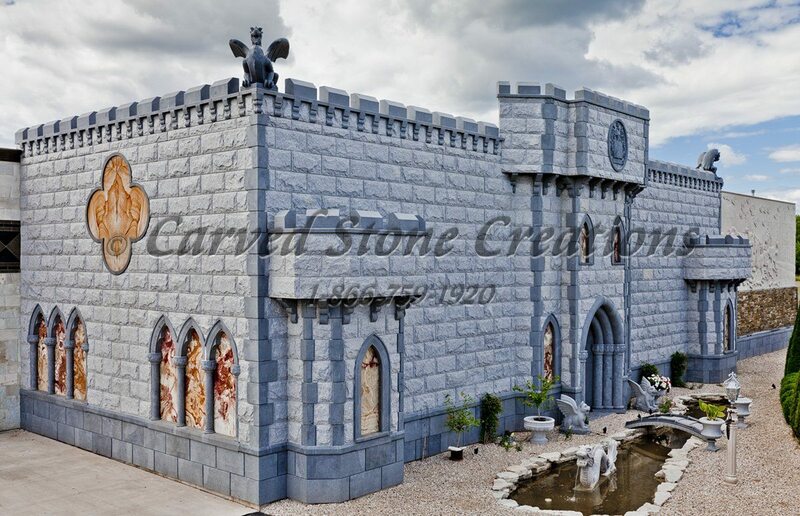 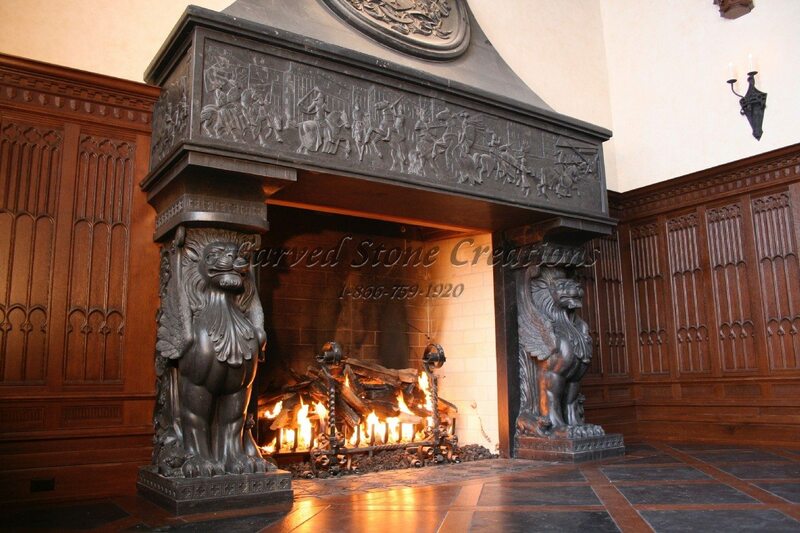 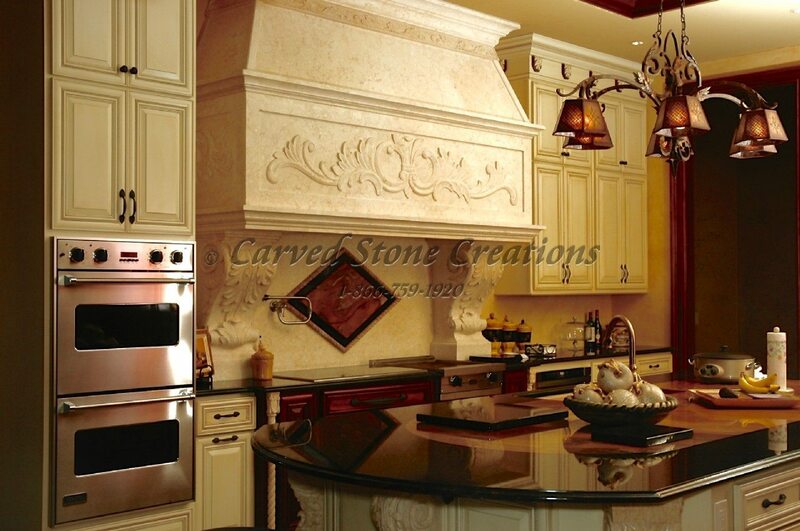 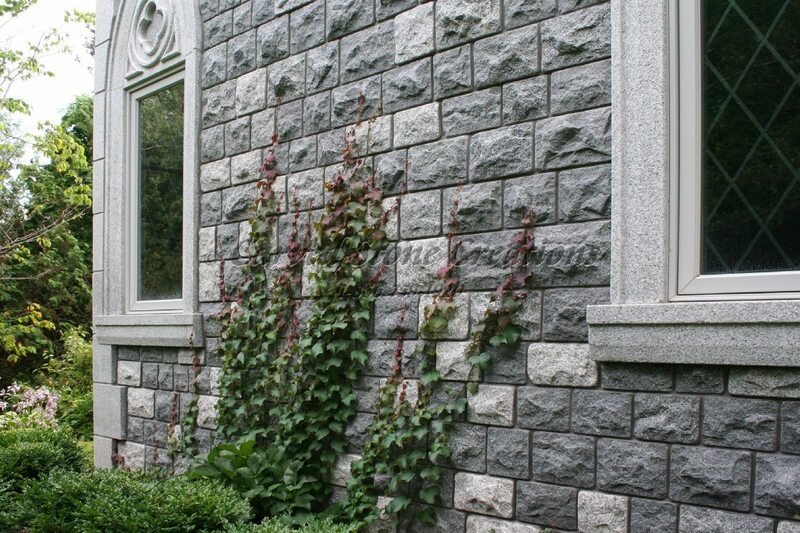 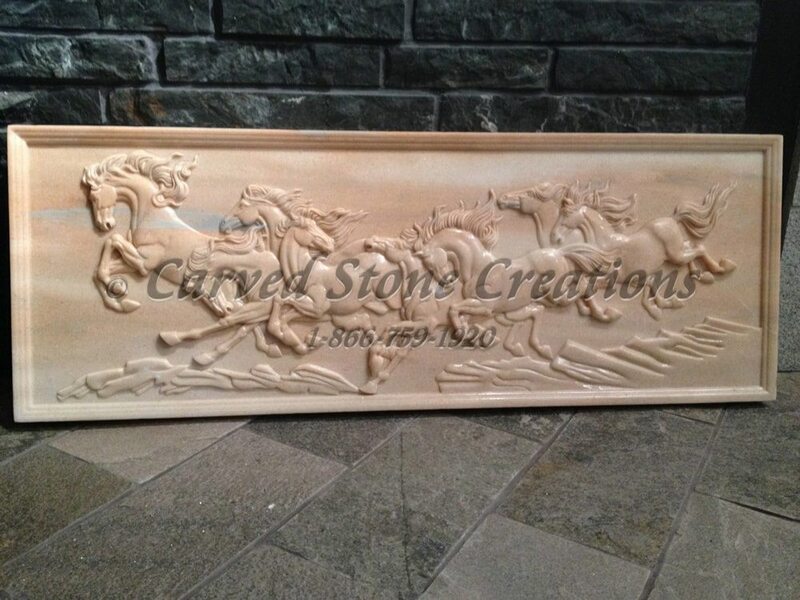 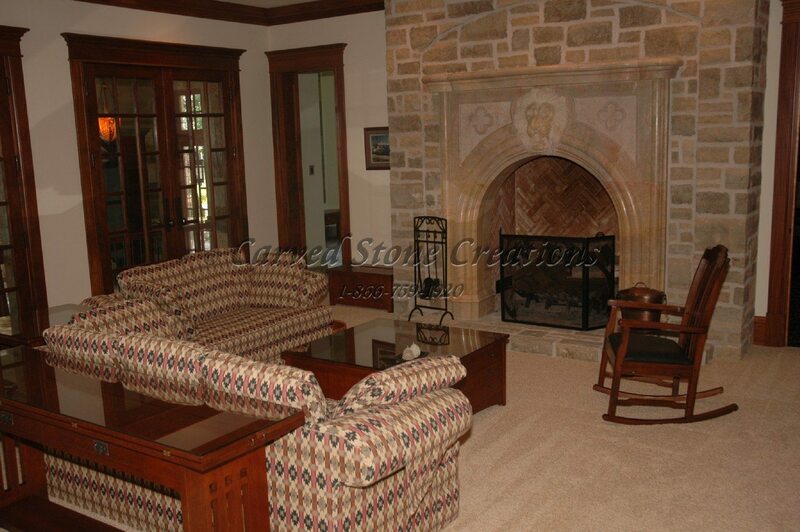 This carved stone arched entry surround features rope molding details. 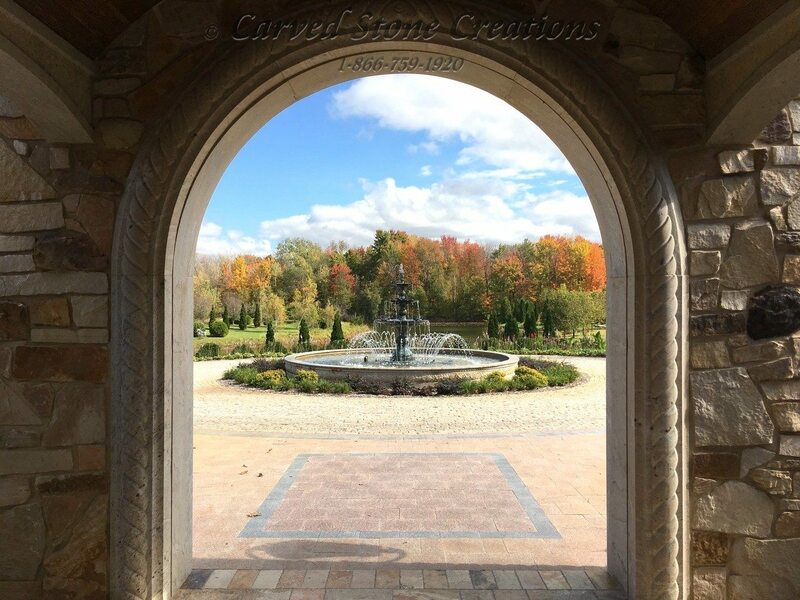 From the front door, it perfectly frames this classical bronze fountain. 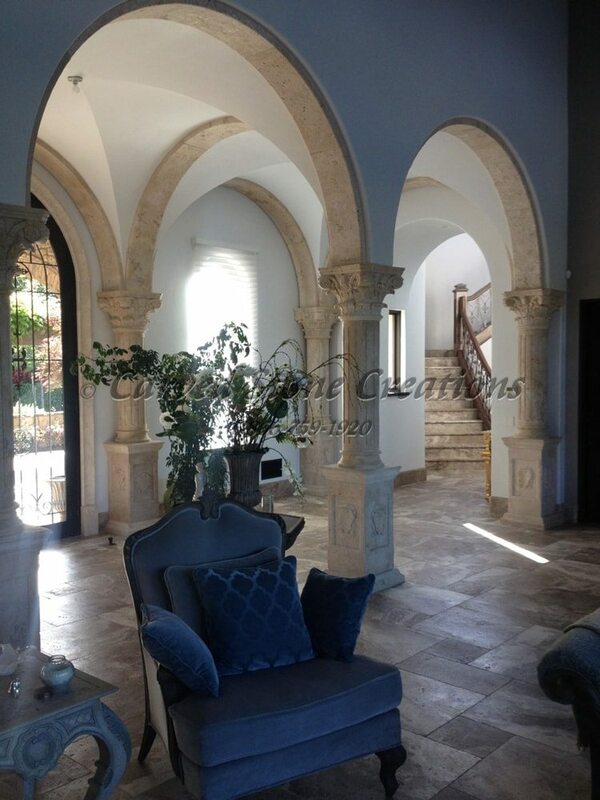 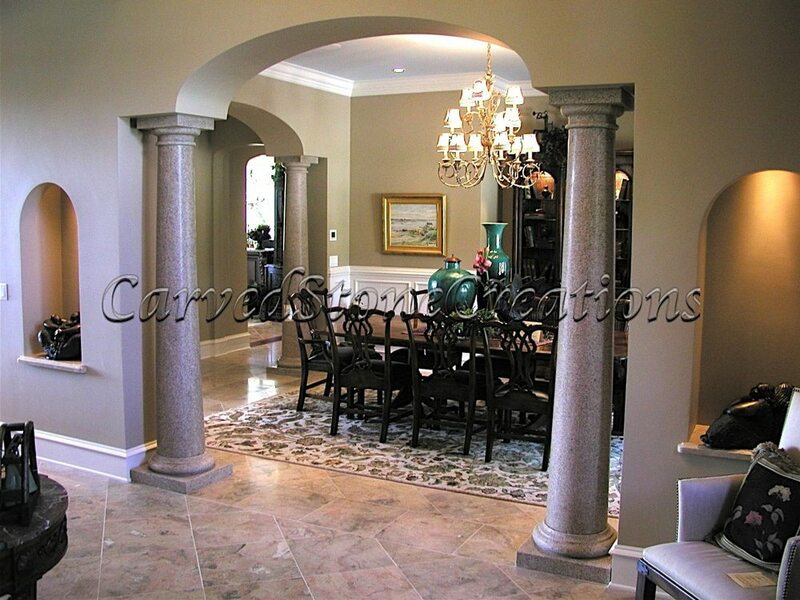 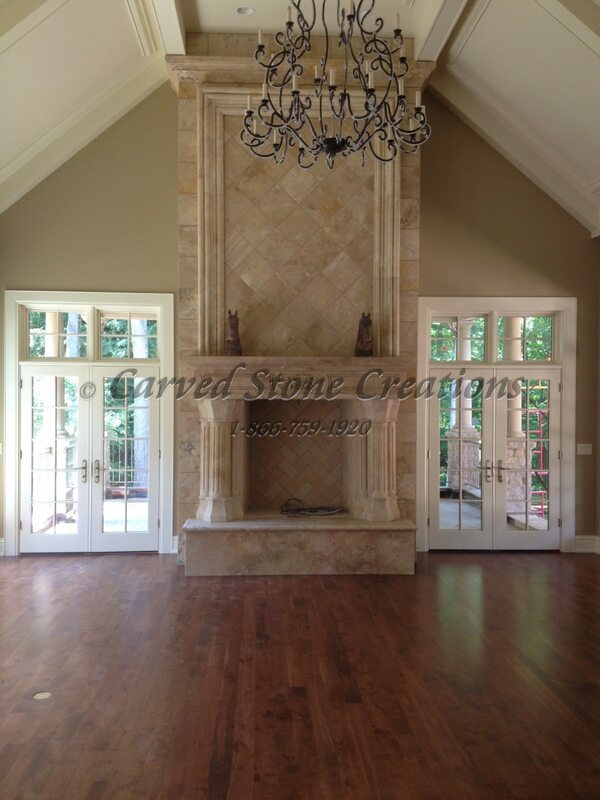 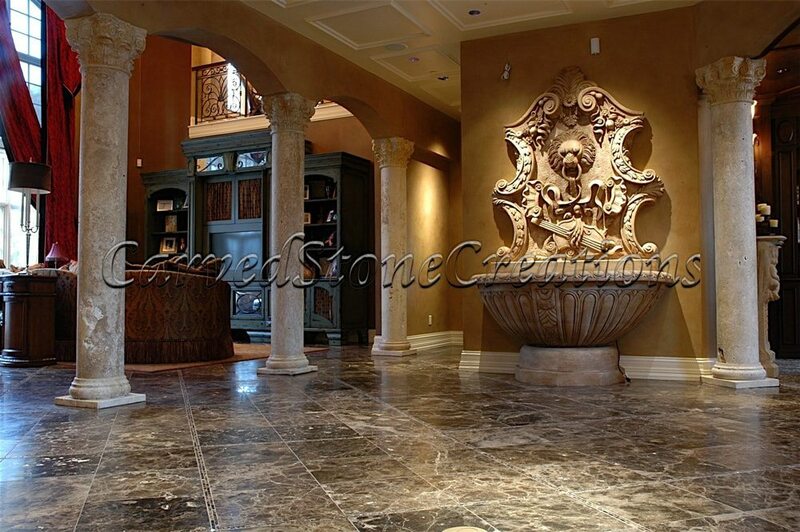 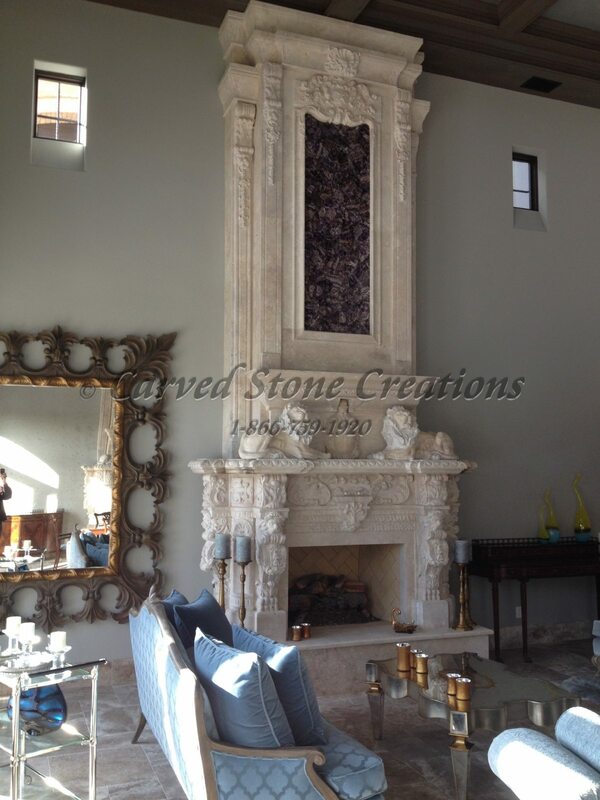 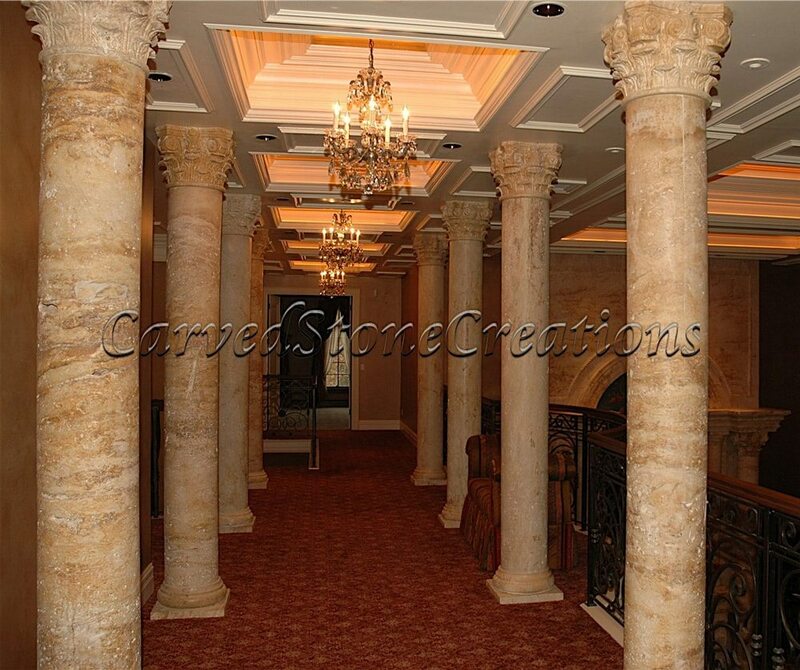 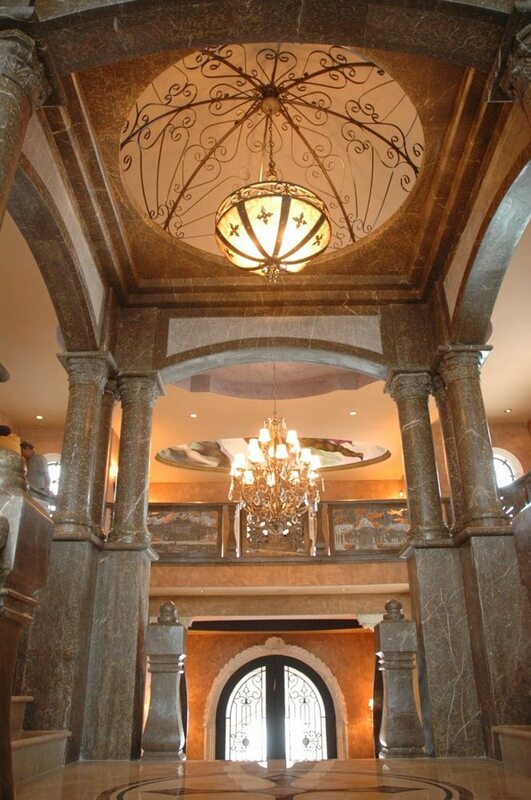 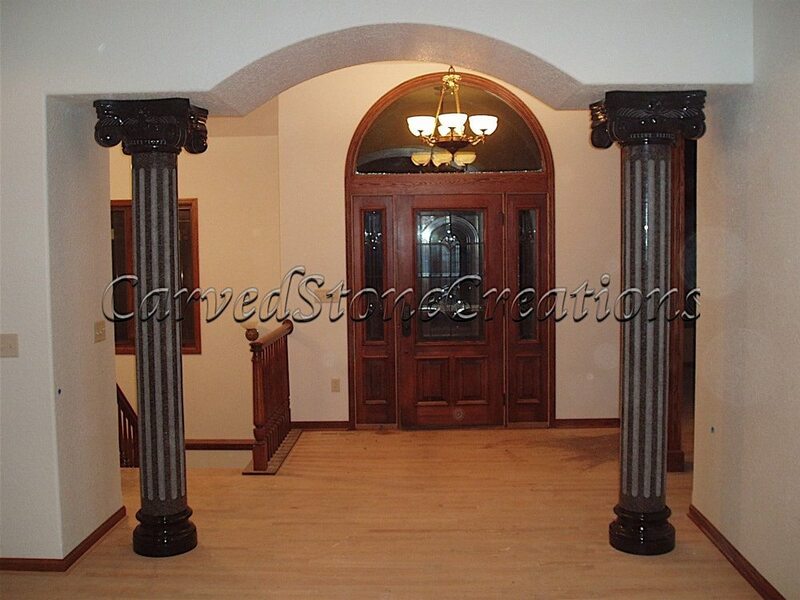 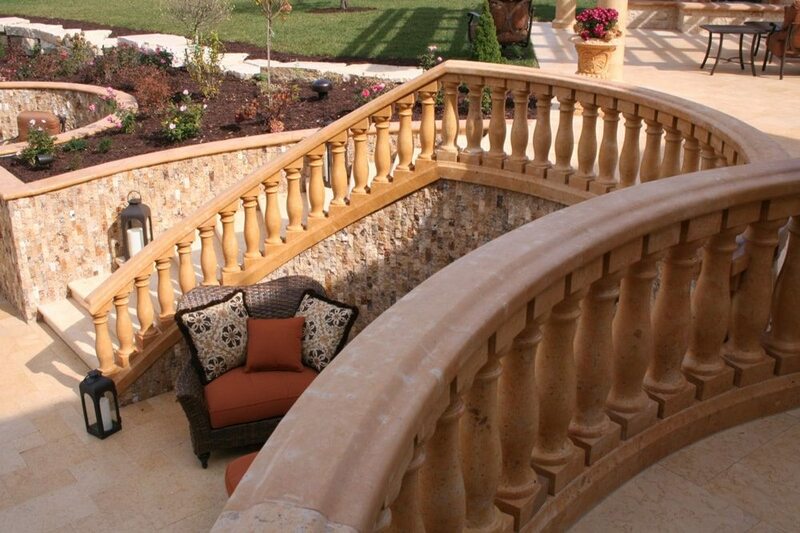 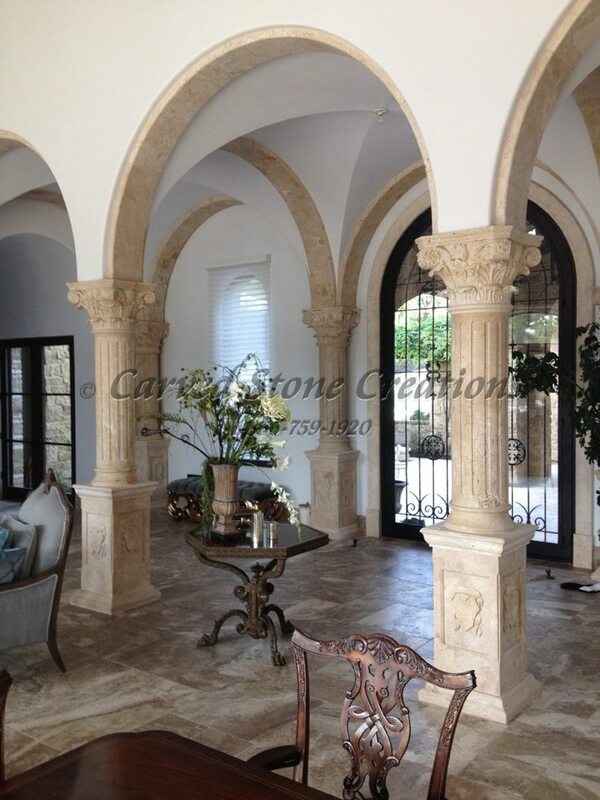 Luxurious hallway framed by several travertine stone columns carved with Corinthian capitals. 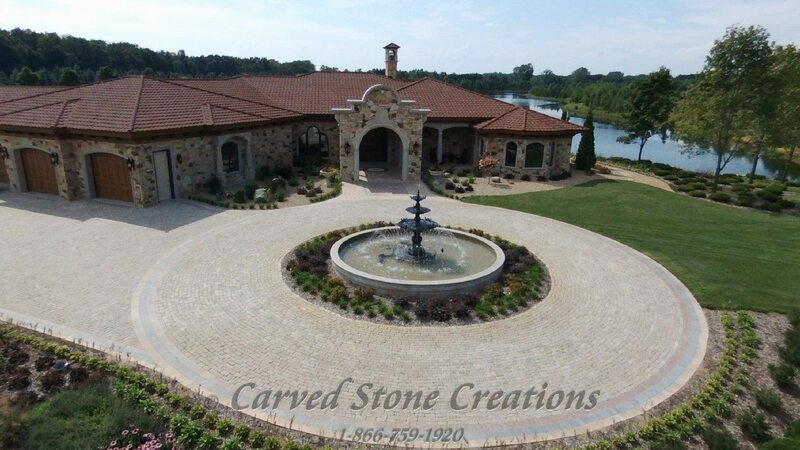 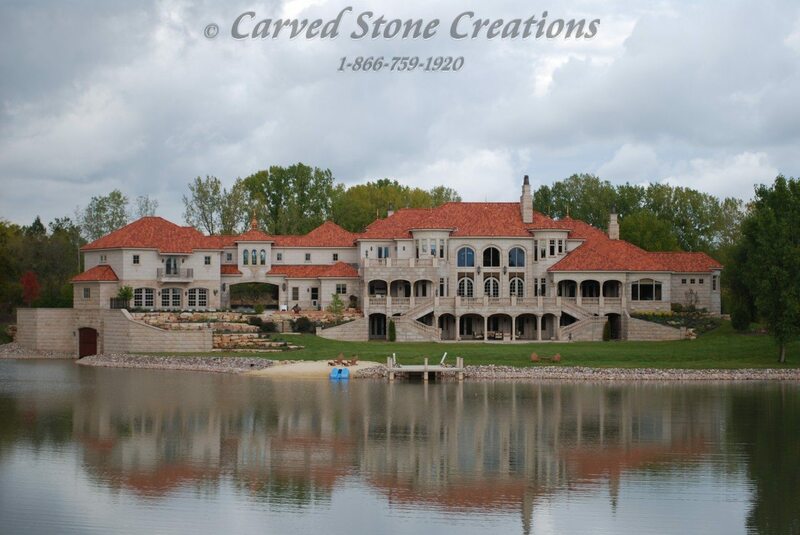 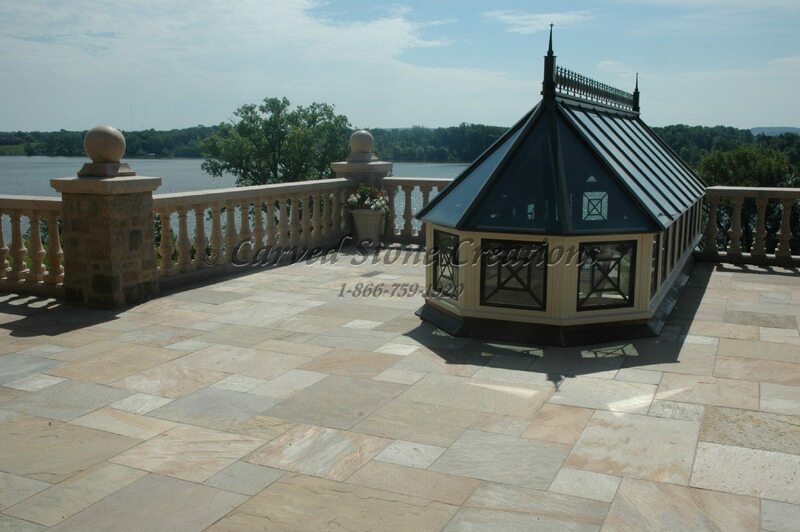 This waterfront estate features a large outdoor bronze fountain with granite cobblestone pavers in circle drive. 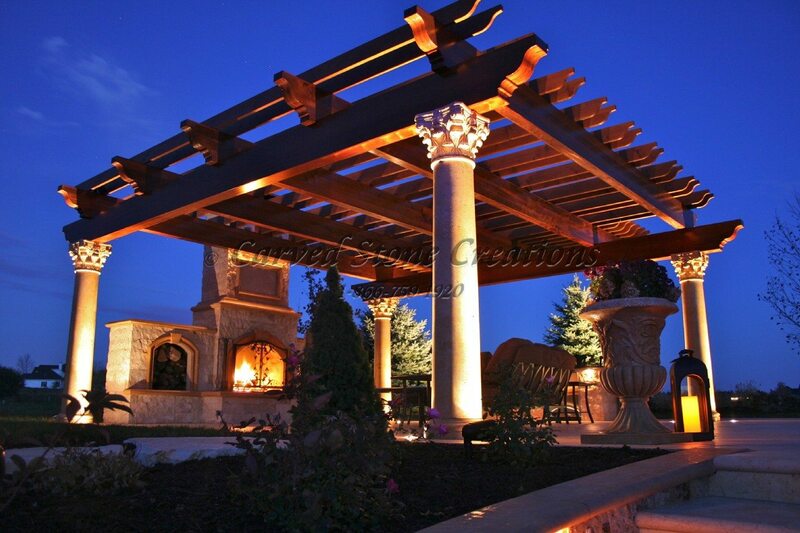 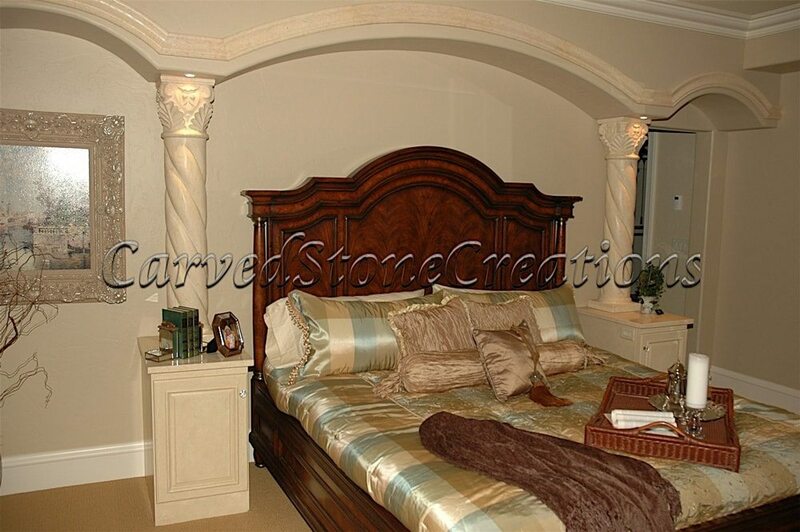 Rope twist columns frame this bed with arched soffit detail.